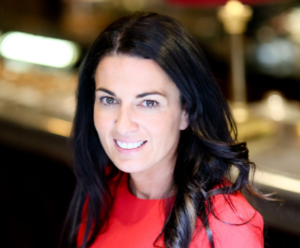 The European Association for Storage of Energy (EASE) is glad to extend a warm welcome to its newest member EUNICE who joined EASE in March 2019. Mr Olli Kuronen, Chief Financial Officer, accepted to discuss with us EUNICE’s expertise in energy storage and expectations from this collaboration with EASE. EASE: Mr Olli Kuronen, thank you very much for accepting this interview. We are very happy to have EUNICE ENERGY GROUP among our members and we would like to know more about your activities in the sector. Could you summarise the most interesting insights from EUNICE ENERGY GROUP’s work for energy storage in Europe? Mr Olli Kuronen: EUNICE ENERGY GROUP got involved in energy storage applications around 5 years ago when we participated in a public tender for scoping a hybrid renewable energy system with battery storage on a small island in Greece. Later, we became the leading private sector member in the Project TILOS consortium, a high-profile HORIZON 2020 project. TILOS is an innovative hybrid energy system that combines renewable energy, smart grid and battery storage on the Greek island of Tilos. The project placed us at the forefront of the hybrid energy system and storage applications in Europe. TILOS is now fully operational and delivers electricity to the end consumers on the island. Now we can conclude that the experience as a developer, implementer, owner and operator obtained through TILOS helped us to gain invaluable know-how and expertise in solving regulatory/commercial challenges, as well as, combining renewable energy and storage. One concrete outcome of this is our in-house developed “S4S” energy management software that is in the core of our renewable energy hybrid system concept. Eunice Energy Group has first-hand expertise in combining renewables and energy storage on island environments, an “Island Re-specialist” if you like. Furthermore, islands are unique and useful environments to learn from “autonomic energy islands”, not only technically but also socio-economically. At the moment, we are developing other similar projects in Greece and, as we know, there are hundreds or maybe thousands of islands in Europe where the TILOS approach can be considered and applied. EASE: We look forward to a very fruitful collaboration with you and to receive EUNICE ENERGY GROUP’s input for our Working Groups and Task Forces. What created the interest of your company to join EASE? Mr Olli Kuronen: Sustainable energy is in the heart of our corporate DNA. We always knew that the development of energy storage technologies is crucial for the considerable increase in renewable energy in the energy systems. As we are now fully involved in the storage concepts, it was important to become a member of the leading industry association with the leading corporate members. Also, we were pleased with EASE’s dynamic approach and knowledge in promoting the energy storage industry throughout Europe. In short, EASE is a perfect platform for us to participate in industry dialogue among European companies and institutions. 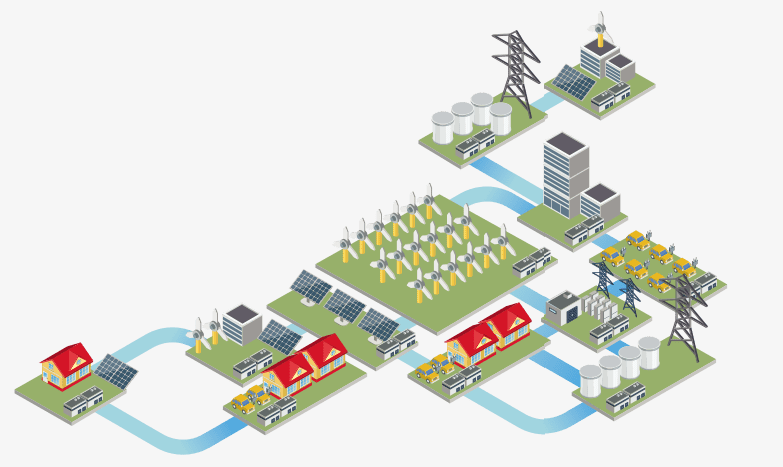 EASE: What is your vision on how storage can contribute to the energy transition? Mr Olli Kuronen: Energy storage will have an omnipotent role in the energy market. Storage technologies are developing rapidly whilst also lowering the cost of energy. I think that, just like with any other technical innovations, mankind always underestimates the speed of innovation. A good example of this is the development of battery technology in mobile phones that largely facilitated the introduction of the smartphone revolution. For us, philosophically speaking, energy storage together with the digital revolution means sustainability, equality and freedom. Energy storage allows the employment of renewable energy in a distributed manner, ultimately leading to a prosumer environment where energy consumers will have a more equal relationship with utilities. That is why we often talk about the concept of“Green Utility” where energy market operators promote and offer solutions that can facilitate the prosumer approach, including energy savings and e-mobility. However, this is not going to happen tomorrow. Before that, it is imperative to employ energy storage in various tasks in distributions networks, so that the shift to the prosumer world is smooth. The EU has introduced the necessary framework for this “energy revolution”, so it’s time for national authorities and private sector operators to roll up their sleeves and implement it. Having said that, there are challenges ahead to develop compensation models under which various services from privately owned energy storages can be offered profitably. In this respect, we believe that EASE can play an important role as a counterparty for dialogue, even at the national level, about how various energy storage procurement schemes are introduced. Don’t miss any policy update and benefit of special discounts for EASE events. Get a premium access to all our services and shape the future of the energy system! The 2019 Spring EASE Committee Meetings, hosted by EASE member Naturgy, have just come to an end. 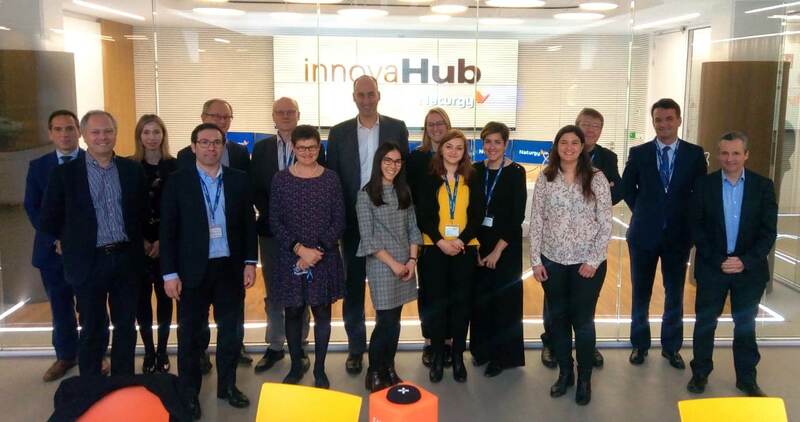 On 19 and 20 March 2019 EASE Members’ representatives met at Naturgy’s InnovaHub in Madrid to discuss the biggest technical and regulatory challenges shaping the energy storage sector in Europe. The InnovaHub is a space dedicated to creation and innovation, in which it is possible to work and connect with the main players of the digital and technology ecosystem. It provides an open space for meeting, in which entrepreneurs and innovators can work, network and organise events of interest to the energy innovation community. Thanks to the activities proposed by InnovaHub, stakeholders of the energy sector have the opportunity to pitch in together and gain experience, enlarge their network and exchange knowledge in order to be full protagonists of the development of the energy sector. This engaging context fostered the discussion in the three EASE Committees. The Technology and Value Assessment Committee deepened the discussion on energy storage technologies, costs, and applications; the Communications Committee finalised certain deliverables and communications campaigns that will be soon be available on Social Media and on the EASE website and, finally, the Strategy Committee focused on how to tackle the current regulatory challenges and barriers to the deployment of energy storage. The 2019 Spring Committee meetings were productive and engaging for EASE and its members. We would like to thank all participants for providing interesting input to our work, and in particular Naturgy for granting us access to the InnovaHub, a very interesting and stimulating environment for our discussions. We look forward to replicate this experience in similar facilities that foster innovation and networking among EASE members. On 11 March 2019 the European Association for Storage of Energy (EASE) and Delta-ee (Delta Energy and Environment), the specialist “new energy” research and consulting company, have published EMMES 3.0 – the definitive guide for the European Energy Storage market. Financing from the European Union is still needed to foster the development of energy storage in Europe, and EASE is actively involved in the shaping of funding programmes through its project management team. In 2018, EASE engaged with a wide range of stakeholders and got involved in different platforms to bring energy storage as a key topic in the next framework programme of the Commission: Horizon Europe. 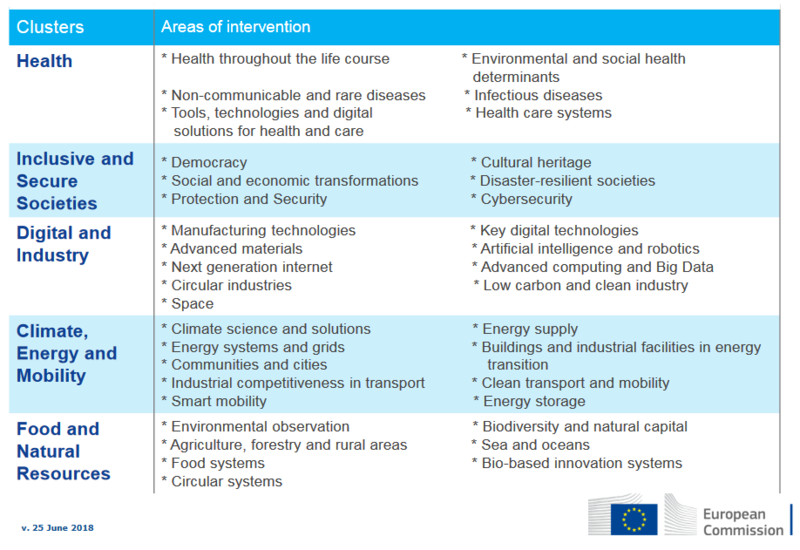 Horizon Europe is the European Commission’s proposal for a €100 billion research and innovation funding program of seven years (2021-2027). This new programme will be launched in 2021 with the aim of boosting research and innovation and will replace Horizon 2020, which was the biggest research and innovation programme of the European Union with nearly €80 billion in funding, available from 2014 to 2020. 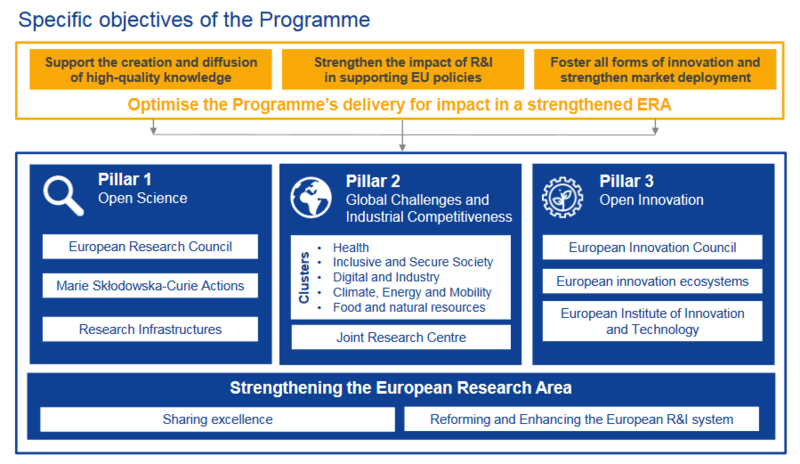 Horizon Europe programme has three objectives: Supporting the creation and diffusion of high-quality knowledge; Strengthening the impact of R&I in supporting European policies; Fostering all forms of innovation and strengthening market deployment. Horizon Europe will consist of three pillars: Open Science, Global challenges and industrial competitiveness, Open Innovation. The second pillar contains five clusters and particularly relevant for EASE is the “Climate, energy and mobility” cluster, since “Energy Storage” is one of its 9 topics. Within the same cluster, topics such as “Energy systems and grids”, “Communities and cities”, “Smart mobility” and “Clean transport and mobility” also prove to be interesting as they envisage a role for energy storage. EASE welcomed the European Commission’s proposal to invest €15 billion in the “Climate, energy and mobility” cluster. The envisaged starting date for Horizon Europe is 1 January 2021. EASE hopes to achieve great results within the programme: Horizon Europe is an instrument that the European Commission provides to organisations and individuals to tackle major energy challenges while supporting their work through the financing of infrastructure projects and internal R&D. The access to a wide European network gained thanks to the participation in the consortium fosters business opportunities, creates synergies with other industries and enables public and private partnerships. Moreover, it represents an opportunity to influence policy-making through the development and sharing of research and knowledge. Overall, the participation in EU-funded projects is a great added value for businesses of any size and EASE is proud to support its members and facilitate their access to these funds. Discover more about EASE activities in R&D and the EU-funded projects we are currently invoved in. 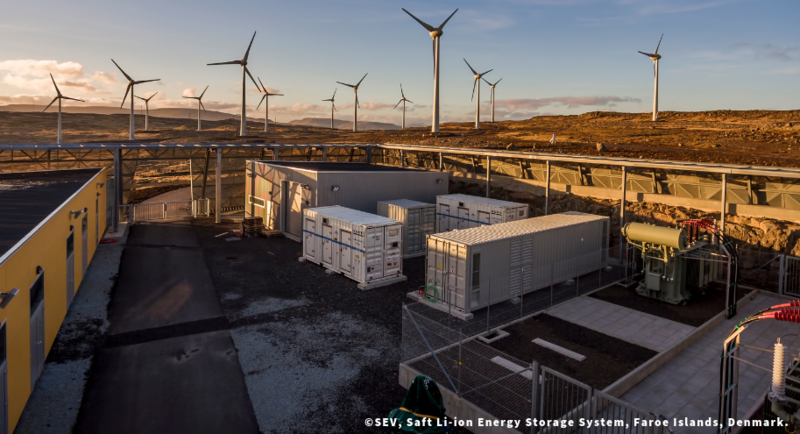 2019 will undoubtedly be another ground-breaking year for the energy storage sector, and EASE will be at the forefront of discussions with policymakers and other stakeholders to shape the future energy storage industry. In 2019 and beyond, EASE will focus on a number of key areas to further the development and deployment of energy storage technologies across Europe. 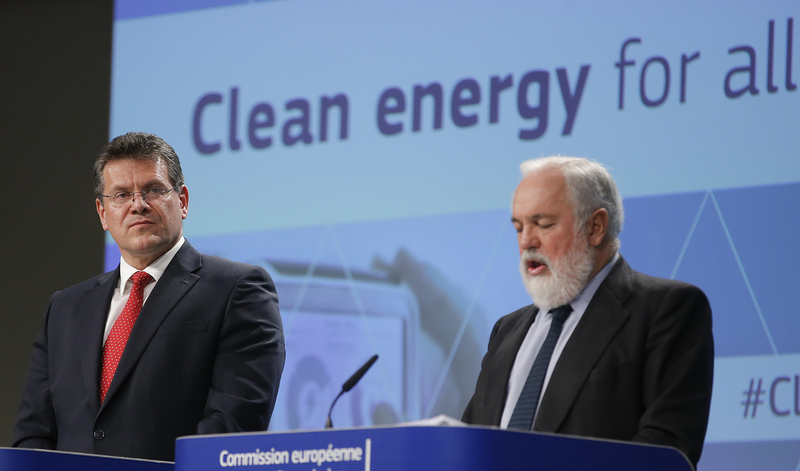 The European institutions will formally adopt the recast Electricity Directive and Regulation, part of the Clean Energy for All Europeans package. After this important step, the focus will turn to the implementation of these provisions in the European Union Member States, and EASE will issue its ideas and recommendations to support further policy measures to enhance the regulatory framework for energy storage. The European Commission will also issue its Gas Package proposals, aimed at updating the rules for the internal gas market, and many of these proposals will be of interest to the power-to-X storage sector. Regarding the electricity network codes, discussions will continue on whether to amend them in order to include grid connection requirements for energy storage devices. EASE will continue to monitor the implementation of the European network codes to ensure that the provisions do not create undue barriers to the deployment of storage and its participation in electricity markets. 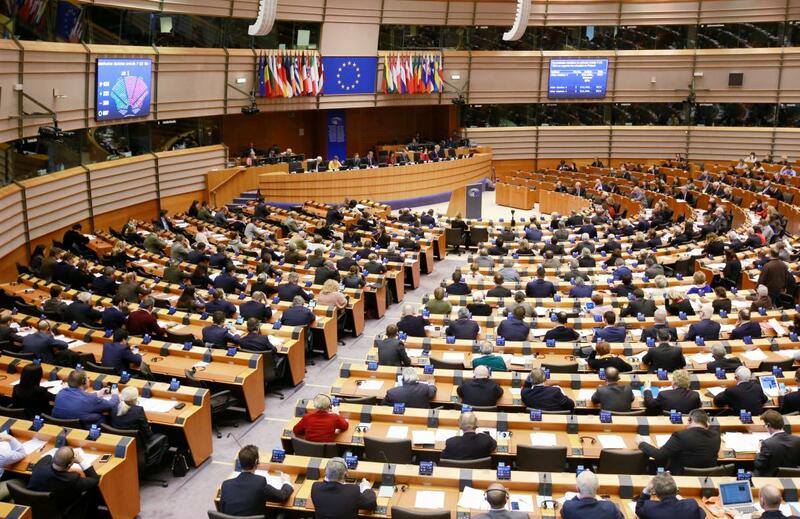 After the European elections, EASE will engage with the new Members of the European Parliament and College of Commissioners to share with them the role and value of energy storage, and to ensure their continued support for the storage sector. Energy Storage is not a technology of the future – it is here today, providing a variety of applications to ensure a cleaner, more efficient, and more secure energy system. EASE is working hard to make sure that storage can live up to its full potential in supporting the energy transition. EASE will support the discussions on the new Horizon Europe funding programme and continue its work on EU-funded projects, to support energy storage research, development, and deployment. With the support of its members, EASE will kick-start new EU-funded projects: Batteries Europe, ASSET and Battery 2030+. As in previous years, EASE will issue policy papers and recommendations in order to share its expertise on storage technologies and applications with policymakers. EASE Task Forces on Mobility, Multi-Service Business cases, Hybrid Energy Storage Systems, and Energy Storage Applications will finalise and publish studies and recommendations on these topics. The aim is not only to share our members’ views, but also to kick-start discussions with policy-makers and other stakeholders. 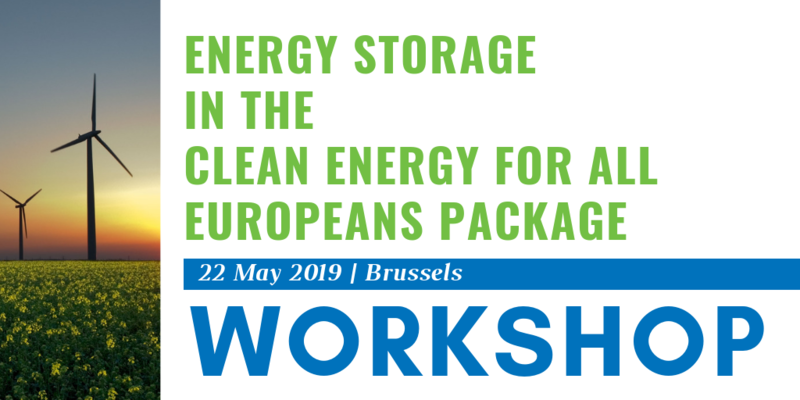 Also, two events will be organised by EASE in 2019 to reflect on the implementation of the Clean Energy for All Europeans package and on other aspects that are key to furthering the energy storage business case. Through its involvement in different EU-funded projects, EASE continues to support innovative projects that further research, development, and deployment of different energy storage technologies. Below are the projects in which EASE was involved in 2018. INTENSYS4EU project aims to support the integration of innovative solutions in view of hosting 45% of variable renewables by 2030. ETIP SNET, the European Technology and Innovation Platform – Smart Networks for Energy Transition, was set up by EASE and the INTENSYS4EU consortium. It brings together experts and stakeholders from across the smart grids and storage sector to discuss policy, innovation and research. In 2018 EASE participated in the elaboration of the recommendations on “Storage Technologies and Sector Interfaces” at the ETIP SNET regional workshops in Zagreb, Helsinki, Brussels, and Madrid. Muse Grids aims to develop new models and tools to coordinate interactions between different energy systems and networks, promoting the optimised management of local energy communities, demand-side management, and increasing the share of renewable energies in the global energy mix. EASE will support the deployment of multi-energy storage systems in energy islands and lead the dissemination, communication and policy promotion activities and provide cost-benefit analysis studies supported by CIRCE. 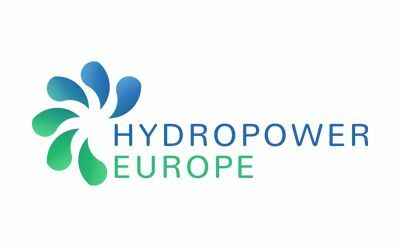 Hydropower Europe started in November 2018. It aims to bring together stakeholders from across the hydropower sector in order to develop a Research and Innovation Agenda, as well as a Technology Roadmap to monitor the implementation of that agenda. The TR will put forward the current status and European potential for pumped energy storage. EASE will lead Work Package 2 on Hydropower-Europe Community Support. Three EASE members (Iberdrola, CENER, GE) will be involved directly as linked third parties. Enel and CIRCE will support the project. The TSO2020 “Electric Transmission and Storage Options along TEN-E and TEN-T Corridors for 2020” project launched in 2017 and aims to exploit synergies between power storage solutions and alternative transport infrastructure needs. EASE is leading a cost-benefit analysis study conducted by three of its members – DNV GL, Tractebel, and CIRCE. 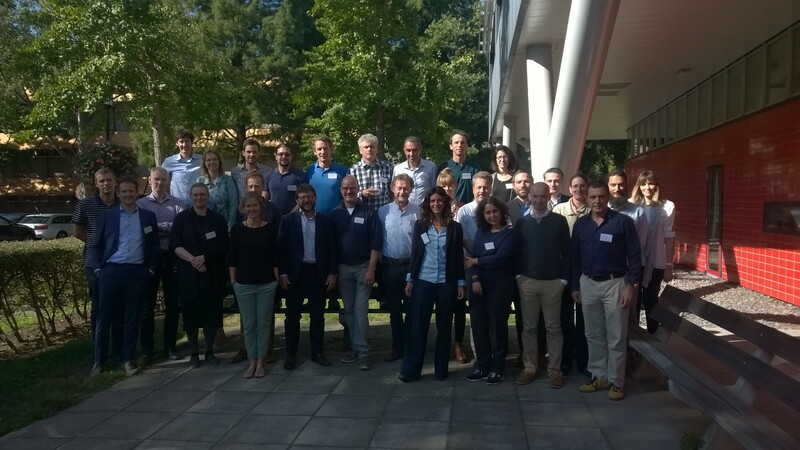 As co-leader of the dissemination and stakeholder engagement activities, EASE organised a Power-Hydrogen workshop in October 2018 to communicate and exchange the preliminary conclusions of the project activities to stakeholders. SMARTSPEND began in December 2018. The project’s aim is to promote collaboration and development of cross thematic synergies among actors of new clean energy innovations. The mission of the programme is to provide more and better design of public support for energy technology R&I, with a focus on national support. The project has two pillars: a synergy one, where partners discuss their common interests around technology development and a financial strategies pillar, where stakeholders will be invited to discuss their common needs for financing. EASE will lead the “Access to Risk Finance” work programme and contribute to all other activities. At the end of the project, adequate financial strategies to mobilise investments and complementary funding from private and public actors will be defined. 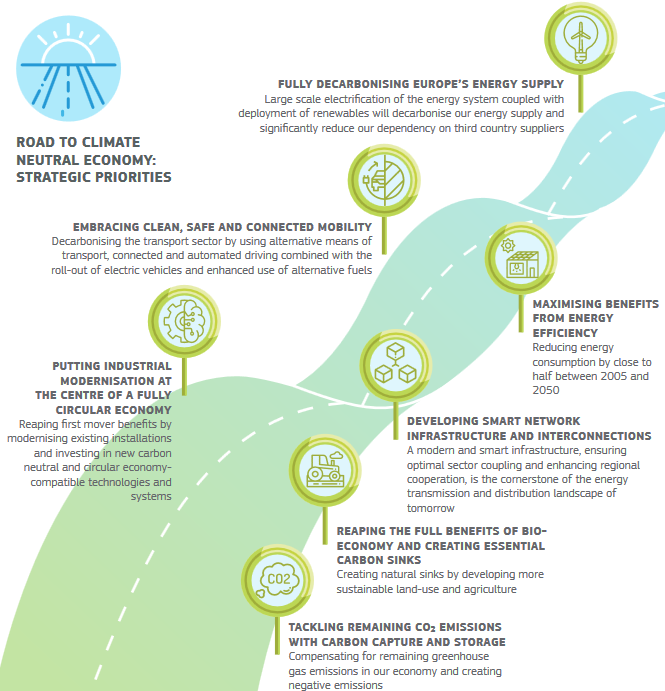 In November 2018, the European Commission presented its strategic long-term vision for a prosperous, modern, competitive and climate-neutral economy by 2050, which seeks to establish a vision on how the European Union can deliver on the Paris Agreement. The strategy assesses different pathways for the European Union to achieve greenhouse gas emissions reductions between -80% by 2050 (compared to 1990) up to net zero greenhouse emissions by 2050. All scenarios developed by the European Commission converge on one element: storage capacity will significantly increase to enable integration of higher shares of variable renewable energy sources in a faster, more efficient way. Total stationary storage explicitly used in the power system (i.e. pumped hydro storage, stationary batteries and chemical storage, including the indirect storage effects of producing e-fuels for the final consumers) is expected to reach between 250 TWh and 450 TWh by 2050. This is a significant increase from today’s storage capacity, especially as these estimates do not take into account behind-the-meter storage, thermal storage, or storage through smart charging and vehicle-to-grid applications of electric vehicles. Through effective and innovative RD&D, such capacity will increase even further in this 30-year span. In 2019, EASE will build upon the main conclusions of the 2050 Long-Term Strategy and further explore the contribution of storage to this strategy. EASE will be ready to follow up on the technology developments and advocate for adequate policy in order to make sure that energy storage delivers its full potential in the Strategy. A world moving from fossil fuels to renewable energy will rely more and more on energy storage. The Battery 2030+ large-scale research initiative will gather leading scientists in Europe, as well as the industry, to achieve a leap forward in battery science and technology. The first Battery 2030+ project kicks off in March 2019 and will lay the basis for this large-scale research initiative on future battery technologies. EASE will lead the Work Package 3, focused on stakeholder commitments, communication & dissemination. EASE will map and gather industry and research stakeholders, facilitating the interactions between these actors. EASE will manage the written consultations, aimed at obtaining, from the several stakeholders, inputs related to the activities. EASE and its members will also provide their expertise to develop a long-term roadmap for an innovative, competitive and sustainable whole battery value chain. EASE Secretariat has been working on the Clean Energy for All Europeans package since it was proposed by the European Commission in 2016. The final agreement was reached in December 2018 by the two co-legislators, the European Parliament and the Council of the European Union, and represents a great success for EASE. The package aims at empowering consumers to become active consumers in the energy system, and through national energy and climate plans, Member States should commit to binding renewable energy targets, in view of the future decarbonisation goals. Moreover, a specific part of the package includes the establishment of a modern market design for electricity in Europe, in which energy storage can play a very important role. The energy storage definition (article 2§47 of the Electricity Directive): we worked on making sure that the energy storage definition is technology neutral, encompassing all storage technologies and applications. The ownership of storage by regulated entities (articles 36 and 54 of the Electricity Directive): we sought to ensure that multi-service business cases will be allowed when a regulated entity will have been given the right to invest in a storage facility. Multi-service business cases see a regulated entity and a market player share the ownership and/or operation of a single storage facility to maximise the value of this asset. Long-term contracts for storage in the balancing market (article 5§9 of the Electricity Regulation): EASE advocated for the possibility to have three-year contracts in the balancing market to allow for longer-term visibility of storage revenues. We were proud to see that most of our lobbying efforts paid off: the definition which was finally agreed upon covers not only electricity in/electricity out technologies but also electricity in/energy out technologies. Contracts up to one year will also be allowed in the balancing market in various cases. The principle of market-based procurement for non-frequency ancillary services, including the participation of energy storage, is recognised. EASE thanks the European institutions for their hard work and commitment on these two files and will now follow closely their transposition and implementation at Member State level. The European institutions also reached an agreement on the proposal for a recast Renewable Energy Directive. Consumers can be remunerated for the self-generated renewable electricity fed into the grid at market value. Finally, the European Union raised itsambition for the use of renewables in the transport sector, as well as the heating and cooling sectors. This is a promising development for storage technologies which are key to decarbonise and support the integration of higher levels of renewables in these sectors. EASE members follow these developments very closely, notably within the EASE Energy Storage and Mobility Working Group. 2018 was a turning point for energy storage policy at the European level, with major pieces of legislation being approved by the European institutions. EASE policy team has worked hard to ensure that the European regulatory framework evolves in a way that allows storage to have a strong business case and achieve its full potential to support the energy transition. 2018 started with the publication by the Council of the European Union and the European Parliament of their respective approaches on the proposals for a recast Electricity Directive and recast Electricity Regulation (Electricity Market Design files). Throughout the year, EASE continued to work on a wide range of issues including the electricity network codes, the assessment of energy storage projects in the Ten-Year Network Development Plan and Projects of Common Interest, Horizon Europe, the ETS Innovation Fund, clean mobility, and energy storage on islands. EASE also attended high-level events and initiatives that aim at shaping the future of the energy system, such as the Florence Forum on the internal electricity market, the Madrid Forum on the internal gas market, the Clean Energy for EU Islands Forum, and the High-Level Conference “Charge for Change” focusing on hydrogen. EASE concentrated most of its efforts on the final discussions on the Clean Energy for All Europeans package: EASE engaged with the European institutions during the trilogue discussions on the Electricity Market Design files until a final agreement was reached on 19 December 2018. EASE is proud to have had a role in ensuring that the present and future European regulatory framework recognises the role of energy storage technologies and supports their deployment on a level playing field with other technologies. In short, 2018 has been busy in the policy field! HYDROPOWER EUROPE, a multipartner initiative supported by the European Union’s Horizon 2020 Programme, is a three-year long EU funded project that aims to gather input from the European hydropower community in order to agree upon common Research and Innovation priorities for the sector in Europe. To define a Strategic Research and Innovation Agenda and a Technology Roadmap that aim to help guide funding authorities and particularly the European Commission to prioritise support where it is most needed so as to adapt the sector to the constantly evolving energy system. EASE is taking part in Hydropower-Europe project as full partner by contributing to all other activities. Moreover, the association is leading the work package 2 Hydropower Europe Community Support with the aim to implement wider stakeholder consultation process. Three EASE members, Iberdrola, GE and CENER are involved in the project as linked third parties and two other members, CIRCE and ENEL is contributing as supporting organisations. On the 17 January 2019, SMARTSPEND project partners met in Brussels to kick off SMARTSPEND. Running until December 2021, the 3-year-project will explore how investments in R&D in clean energy can be made in a coordinated way and how they may be increased. EASE, together with project partners, expects to promote the development at the national and European level of cross thematic synergies among actors who are interested in bringing new clean energy innovations, including energy storage, to the market. At the end of the project, adequate financial strategies to mobilise investments and complementary funding from private and public actors will be defined. EASE will lead the “Access to Risk Finance” work programme and contribute to all other activities. The mission of the programme is to provide more and better design of public support for energy technology R&I, with a focus on national support. 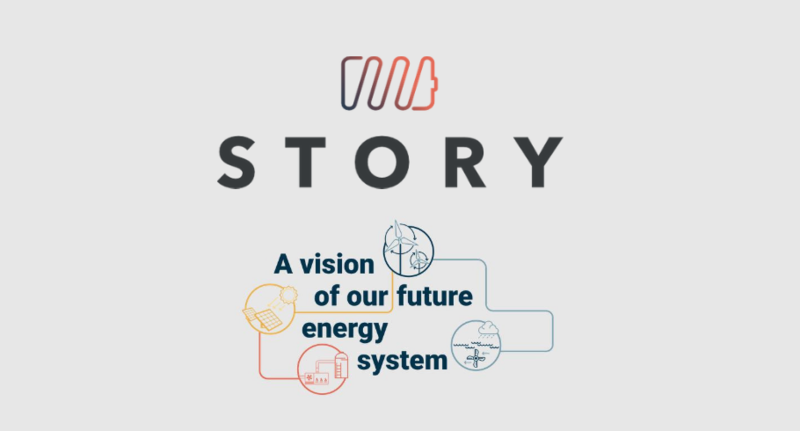 The project has two pillars: under the synergy one, partners will bring all the non-nuclear energy sectors together for a focused discussion on their common interests around technology development and non-technological barriers to the uptake of their technologies. Under the financial strategies pillar, energy sector stakeholders will be invited to discuss their common needs for financing, and compare the way in which each federates its European energy R&I interest and presents it to the European Commission. Since 2014, the strategy of the European Union has been clear: we need to drive a clean, secure and efficient energy transition to tackle climate and energy challenges. This strategy has been reinforced by the strong commitment of the European Union towards the landmark Paris Agreement. It is also why in November 2016 the Commission proposed an ambitious “Clean Energy for All Europeans” package. It is in everyone’s long-term interest to have a rapid transition towards a cleaner, more sustainable and less carbon-intensive energy future. Indeed, many projects across Europe are developing the necessary technologies to make Europe’s transition to greener energy as smooth and effective as possible. In 2016, the European Association for Storage of Energy (EASE) joined a unique cooperation between key energy sector players formed under the ETIP SNET umbrella to foster a European energy transition in line with the Paris Agreement targets. As stated in the ETIP SNET Vision 2050 where EASE has been a major contributor through its involvement in particular in Working group 2 on Storage Technologies and sector interfaces, meeting Europe’s clean energy needs will require major investments for the large-scale deployment of energy conversion and storage devices, the upgrade and extension of the energy networks, and the use of digital solutions. Through its involvement in the ETIP SNET, EASE participated in the development of the “ETIP SNET Energy Stories”. These stories are designed to bring successful applications in energy transition technologies, often developed through public funding, closer to the citizen, highlighting whenever possible the direct benefits of the latest technologies to the energy consumer. As Europe transitions towards electrification and decarbonisation, the demand for renewable energy storage will continue to grow. 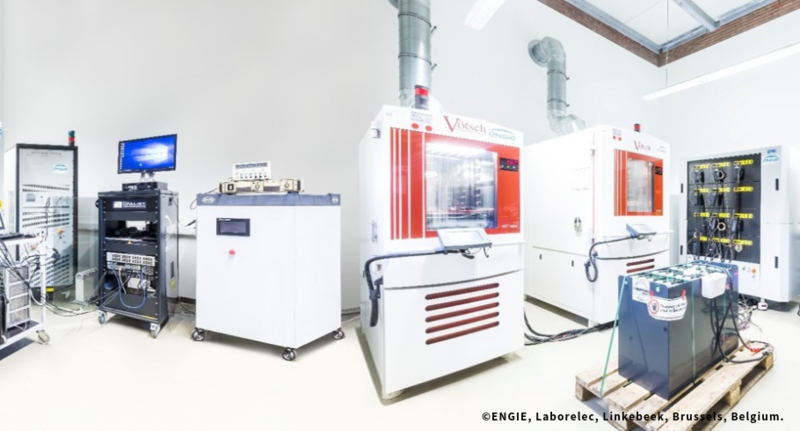 Advanced lead batteries play an essential role as one of the diverse energy storage battery technologies needed to facilitate this green transition. 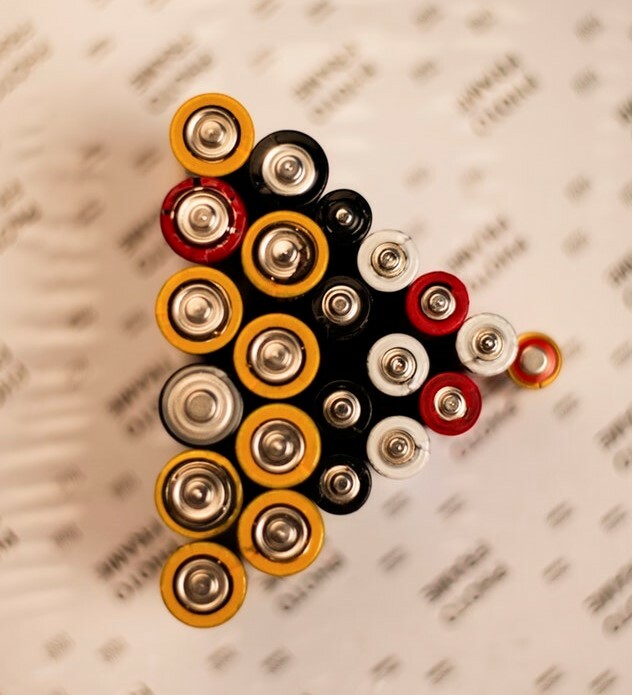 ALABC, the consortium for battery innovation, promotes research and innovation in the lead battery industry, and aims to communicate their benefits as one of the fantastic options for energy storage in Europe. As a technology which is 99% collected recycled at end-of-life in Europe, lead battery recycling is a blueprint for Europe’s circular economy goals. Advanced lead batteries provide energy storage capabilities for wind and solar farms to help reduce power fluctuations and provide power when the sun is down, avoiding energy wastage. They also act as frequency regulators for power grids across Europe. 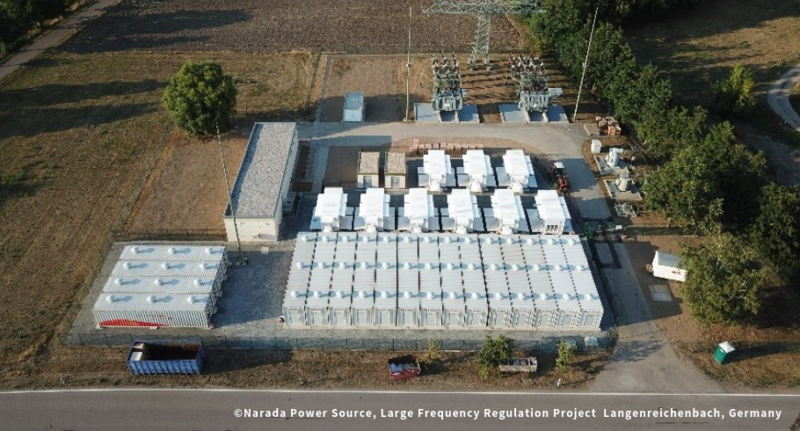 Partnering with energy storage operator Upside Group in Germany, ALABC member and lead battery manufacturer Narada is involved in a large frequency regulation project at Langenreichenbach, near Leipzig, Germany. The battery capacity is 25 MWh and the system is specified to provide 15 MW for one hour for primary control reserve in frequency regulation. The network operator is Mitnetz who supply electricity to over two million customers. The battery is comprised of 10,584 units 1200 Ah lead-carbon valve-regulated cells housed in 18 containers and delivers power through nine inverters supplied by SMA Solar Technology, each capable of delivering 1.8 MVA. The system is managed by two controllers also provided by SMA so that the battery discharge and recharge are precisely controlled to match the grid requirements for maximum efficiency. All the battery cells are individually monitored to ensure any deviation in performance is detected and corrected before there is a problem. The lead-carbon technology used for this frequency regulation project was developed in partnership with ALABC. They have a projected calendar life of 15 years and an extended cycle life in shallow cycle service. These batteries have been extensively deployed globally for peak shaving, off-grid wind power installations, and in telecommunications hybrid solutions and energy storage model data centers. The project in Leipzig is one of many renewable energy storage projects supported by lead battery technology in Europe. We would like to extend a warm welcome to EASE newest member Solar Turbines! We would like to extend a warm welcome to EASE newest member CellCube! CellCube intends to be a fully integrated producer of vanadium, vanadium electrolytes and vanadium redox flow batteries for the Energy Storage Market. On 19 February 2019 the European Association for Storage of Energy (EASE) published a position paper explaining the crucial role of stationary energy storage in enabling a rapid and effective transition to a decarbonised transport sector. It calls on policymakers and other stakeholders to address the barriers that hamper the uptake of storage and to enable relevant use cases. The Energy Storage Global Conference 2018 officially closed its doors on 26 October 2018 after three intensive days of discussions on energy storage technologies, policy, and markets. The ESGC 2018 confirms the success of the previous two editions thanks to the involvement of over 300 participants from all around the world, as well as 75 speakers and 16 exhibitors. We would like to extend a warm welcome to EASE newest member RTE France! RTE France is French a transmission system operator, committed to provide economical, reliable and clean access to electrical power. The European Association for Storage of Energy (EASE) is proud to announce the winner of its third annual Student Award Ankit Takle, who had conducted an outstanding research in the field of energy storage with the thesis ‘Simulation Based Analysis of Control Strategies for Heat Pump Integration in District Heating Networks’. EASE: Congratulations on winning the 2018 EASE Student Award! We were very impressed with your thesis on ‘Simulation Based Analysis of Control Strategies for Heat Pump Integration in District Heating Networks’! Could you summarise the main focus and findings of your thesis? Ankit: Thank you! I am glad that your esteemed panel recognized my work. My work falls under the umbrella of fourth generation smart energy systems, which focuses on having an inter-dependent energy usage to maximise its efficiency and to facilitate the integration of renewable energy resources into the grid. In my case, a “power-to-heat” approach was utilised wherein electricity fluctuates due to intermittent generation sources such as solar and wind which can be accommodated by heat-supplying mediums like heat pumps, which run on electricity and are coupled with a thermal energy storage medium. My work focused on thermo-economic possibilities of large-scale heat pump integration in a district heating network along with a centralised thermal storage making use of variables such as the changing hourly spot prices and customer side load shifting strategies. Utilising the thermal mass of buildings as a storage medium was also taken into consideration. The results show a promising 15% reduction in heating costs due to dynamic pricing and load shifting, which is enabled due to the storage medium. EASE: What are the most interesting insights from your work for the storage sector specifically? Ankit: This thesis introduces two different strategies to include the role of energy storage which can be coupled with a heat supply medium to optimise its operating performance with other variables. These are: the thermal energy storage, and the building thermal inertia. The latter plays a crucial role in optimising the heating costs along with an effective demand side management strategy results in significant cost savings for the entire system when coupled with the volatility of the variable electricity market. This can be a valuable step towards utilising innovative storage technologies for fourth generation smart heating systems. EASE: What are your expectations for thermal energy storage technologies in the future? Will they have a major role to play in the energy transition? Ankit: In my opinion, the energy transition cannot be achieved without an effective storage mechanism. As the world strives to increase renewable energy contribution to the generation pool, an increased effort has to be made in parallel to develop flexible energy systems to accommodate an unpredictable generation output from solar and wind. When we talk about flexibility, a necessity to store energy automatically arises. Hence, the role of energy storage is inevitable. EASE: How did you get interested in the storage sector? Ankit: As I was pursuing my Master studies in Sustainable Energy Systems from the University of Applied Sciences Upper Austria, it became clear that energy storage is the backbone of a sustainable, low-carbon energy system. As I mentioned, energy storage is critical to extract maximum potential from a sustainable resource. I am grateful to my University and the Austrian Institute of Technology GmbH for providing me with an opportunity to contribute to this field. EASE: What are your future career plans? Do you see yourself working in the storage sector? Ankit: I see myself working towards enabling decentralised integration of renewable energy systems as well as fields related to “Power-to-heat” and Smart electricity/heating grids. The role of the storage sector in these areas is crucial and therefore, I will definitely be contributing to the storage sector. EASE: What are your expectations of the Energy Storage Global Conference 2018? What are you most looking forward to? 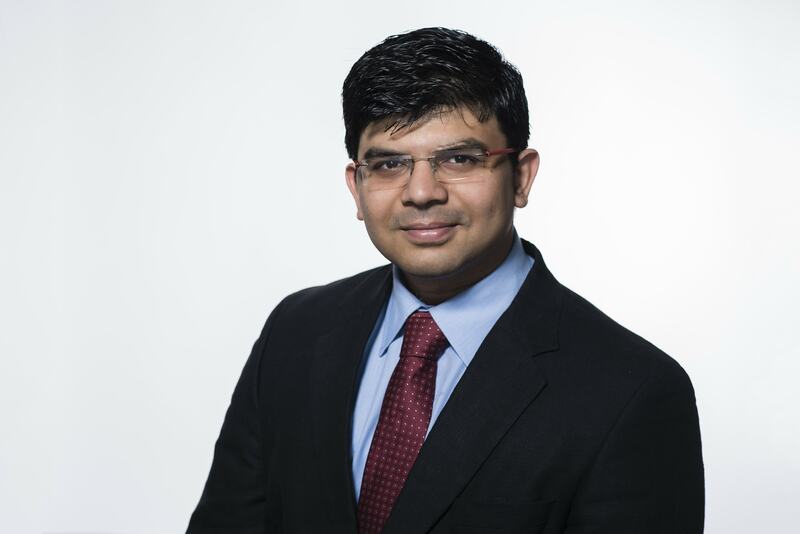 Ankit: I look forward to meeting up with researchers and industry leaders in the storage sector to gain knowledge, not only on the technological basis, but also on the policy making and regulatory developments in the future of energy storage. We would like to extend a warm welcome to EASE newest member Storengy! 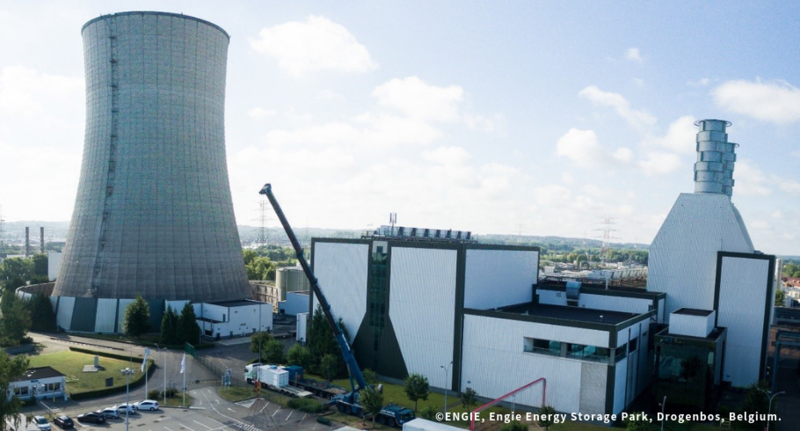 Storengy, an ENGIE subsidiary, designs, builds and operates storage facilities and offers its customers innovative products based on the extensive know-how it has acquired through 60 years’ experience with different markets and regulatory environments. We would like to extend a warm welcome to EASE newest member Fluence! 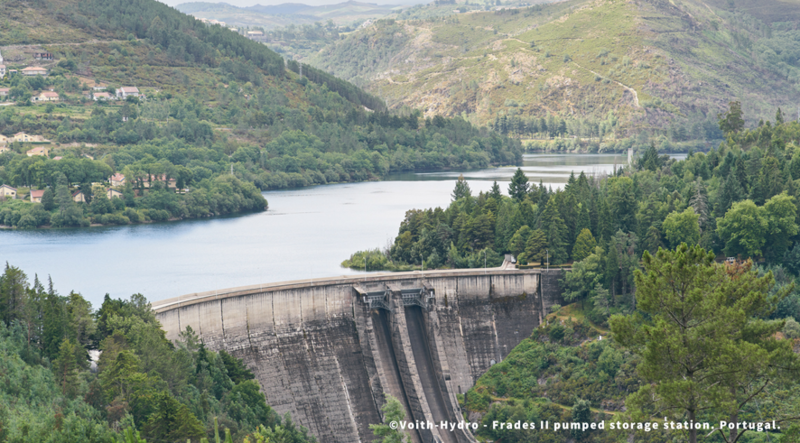 This project involves the construction of Gouvães, Daivões and Alto Tâmega hydropower plants, which will be erected over the Tâmega River, in the north of Portugal. The EIB finances this development with 650 million euros, out of a total investment of more than 1.5 billion euros. The three power plants will have a total installed capacity of 1,158 MW and will be capable of producing 1,766 GWh per year. 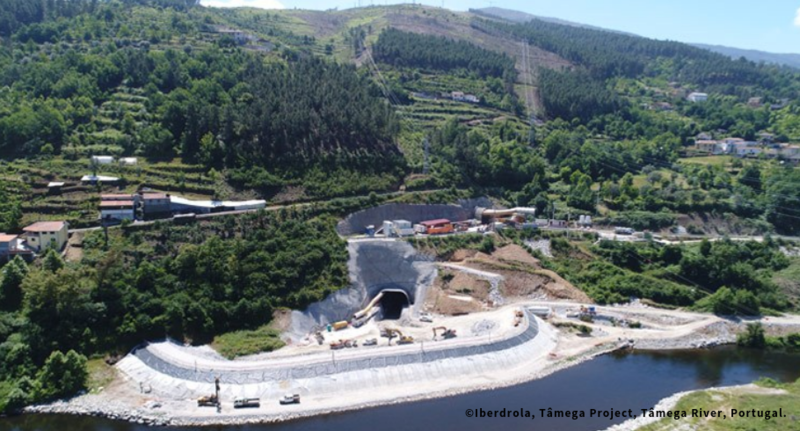 Iberdrola has started the assembly of the first turbine for the pumped hydroelectric power plant at Gouvães. This plant will include an underground cavern with four reversible pump turbines, generating a total power of 880 MW. 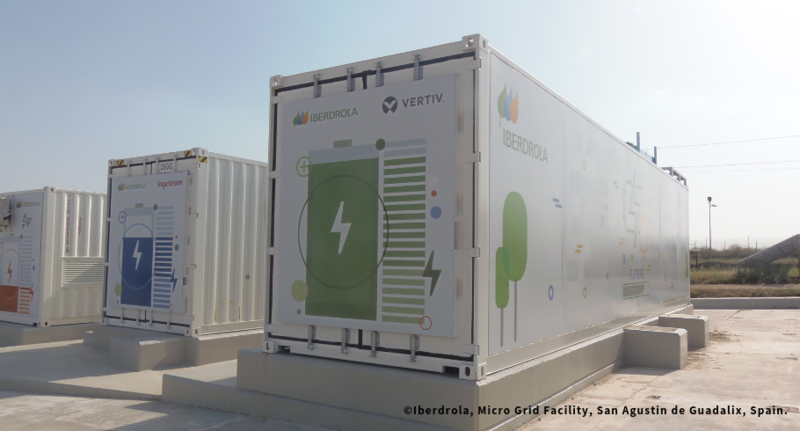 Iberdrola has installed a micro grid facility in the Campus of San Agustín, composed of 3 Li-ion batteries of 170kW/250kWh, several photovoltaic plants, a Building Management System, EV charging points and wind generation. This project is focused on the interaction between the dispatching centre and distributed energy resources. The first objective was to adapt the distribution management system. The DSO will have to be able to operate the grid, enabling all these elements connected to the grid or temporarily off-grid, and the systems must be ready for that. Coordinated operation of several storage systems to provide services to the grid has also been tested. 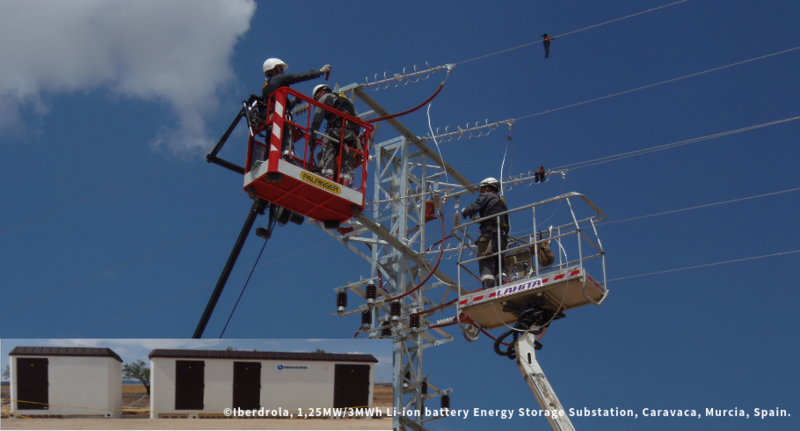 Iberdrola is installing its first 1,25MW/3MWh Li-ion battery for real operation on the Spanish grid, at the end of a long feeder in the region of Murcia. The plant is located in an area prone to adverse weather events with difficult accessibility in a confluence of several 20kV lines. In case of an outage, the battery, which will be operational by the end of 2018, will maintain the power supply to the neighbouring villages, deciding automatically the line or lines to be fed by the battery and the size of the electrical island considering the current demand and local generation. 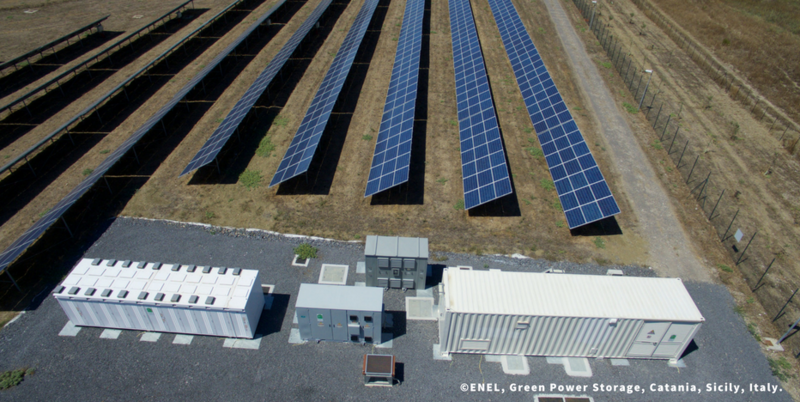 Storage solutions promise to be a true revolution in the renewable energy sector, which sees Enel Green Power (EGP) as one of its global leaders. In some of the thirty countries where it works, the Group has already successfully installed various systems able to store energy and make it available when there is greater need, in order to balance demand and supply on electrical grids. In Italy, the first EGP-brand storage system came about in 2015, in Potenza Pietragalla, Basilicata. Integrated with the wind farm of the same name, it’s able to store 2MWh of energy and helps guarantee the stability of the electrical grid. Also in 2015, the first storage system (1 MW / 2 MWh) in a photovoltaic plant was built in Sicily, at the Catania 1 solar park, with an installed capacity of 8 MW. 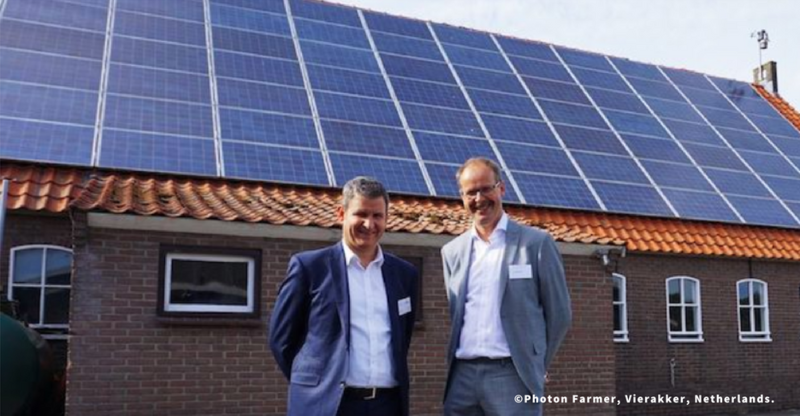 These two examples represent milestones for EGP in the field of storage solutions and a key step forward for the entire technological supply chain related to renewables. 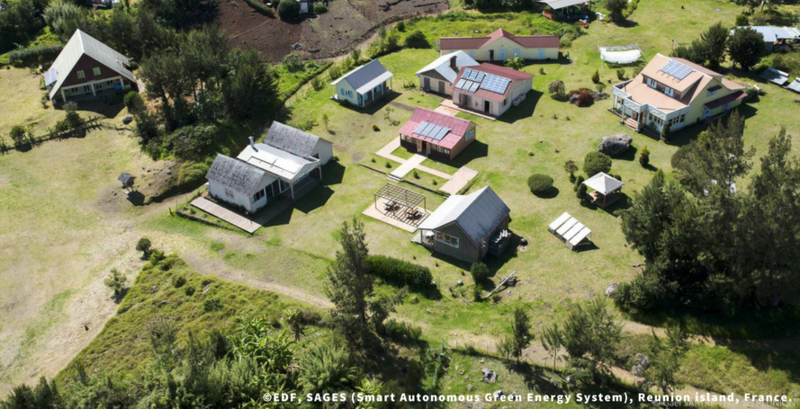 The experience and know-how EGP has gained over the years has allowed them to create an innovative micro-grid with very high technological content at Cerro Pabellón, in the Chilean part of the Atacama Desert. The developed system integrates a 125-kWp photovoltaic plant with a Hybrid Energy Storage System (HyESS), based on lithium ion batteries (132 kWh) and hydrogen storage (1 MWh). In Germany, the first 2-MW/2-MWh section of the Cremzow plant, in the state of Brandenburg, is already in operation. The lithium ion battery-based plant, which will reach its full size of 22 MW / 34 MWh by the end of 2018, will store the energy produced by the nearby wind fields and provide regulation services for the German grid. However, the history of storage is still to be written. In the future, it is expected that a decrease in battery costs and the arrival of new technologies on the market can increase the speed of their deployment and integration with renewable sources to guarantee greater flexibility, and a production profile focused on the specific needs of customers and the grid. The presence of storage systems, in fact, increases the value of a renewable plant, since it allows for a wide range of ancillary services, such as frequency and voltage adjustment and grid rebooting, which are necessary to guarantee the security of an electrical system. The 25MW/12.5MWh BESS Tynemouth project is supported by a four-year contract with British utility National Grid to provide grid balancing services. The UK electricity market has experienced the gradual shutdown of conventional thermal generation units during the last years while increasing amounts of intermittent renewables have been connected, reducing the inbuilt system inertia. The resultant rise in frequency volatility has increased the requirement for faster response times by National Grid, the UK TSO. At the time of the tender in 2016, National Grid’s fastest service was the Firm Frequency Response (FFR), with response times for Primary and Secondary FFR of 10 seconds and 30 seconds respectively. The deployment of EFR, with a sub-second response time, has provided NG with greater control over frequency deviations, resulting in a cost saving for the system. In summer 2016, National Grid’s Enhanced Frequency Response (EFR) tender brought forward investment in eight battery storage facilities in the UK. The auction process secured 201 MW of capacity for a 4 year contract at prices between 7 and 11.97GBP/MWh, at a total cost of £65.95 million over four years. In May 2017, Enel acquired the BESS Tynemouth project from Element Power, an European based energy developer and operator. The project has one of the highest contract prices by National Grid (11,49GBP/MWh). With a nominal capacity of 25MW/12.5MWh (end of life), the project represents the largest stand-alone BESS for Enel Group. The project was built during the second half of 2017 under an EPC contract with RES (Renewable Energy System), using a lithium-ion battery provided by Samsung and put in operation in June 2018. BESS Tynemouth will operate under a four-year Enhanced Frequency Response (EFR) contract with National Grid to provide grid balancing services and, after four years, the project will participate to the ancillary services market. 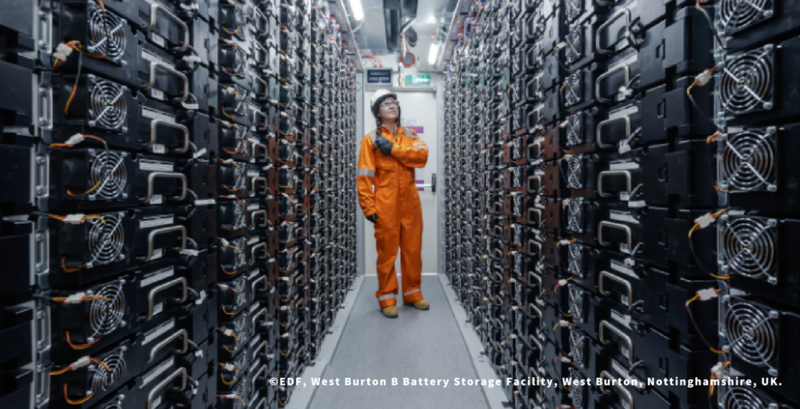 The UK is one of the most advanced markets in the world for utility-scale battery storage systems and one of the first in having set a frequency regulation tender well suited for stand-alone battery storage projects. Moreover, the country offers several revenue stream opportunities, including both regulated and market remuneration schemes. This has resulted in rapid deployment of BESS across the UK over the past three years, with different storage projects winning an EFR contract and also targeting different ancillary service market schemes. Enel’s BESS Tynemouth project has marked an important milestone in the growth of Enel Group in the stand-alone battery energy storage systems sector and has allowed Enel to gain experience and strategic knowledge in building such projects which can be applied to other markets. The heating and cooling sector is vitally important for the transition to a low-carbon energy system. Heating and cooling is responsible for half of all consumed final energy in Europe. The vast majority – 85% – of the demand is currently fulfilled by fossil fuels, most notably natural gas. To further the energy transition, low carbon heat sources (e.g. geothermal, biomass, solar and waste-heat) need to be deployed. Heat storage can play a pivotal role in this development. Storage provides the flexibility to manage the variations in supply and demand of heat at different scales, and in particular can smooth out the seasonal dips and peaks in heat demand. Underground Thermal Energy Storage (UTES) technologies need to be further developed so that they can become an integral component in the future energy system infrastructure to meet variations in both the availability and demand of energy. 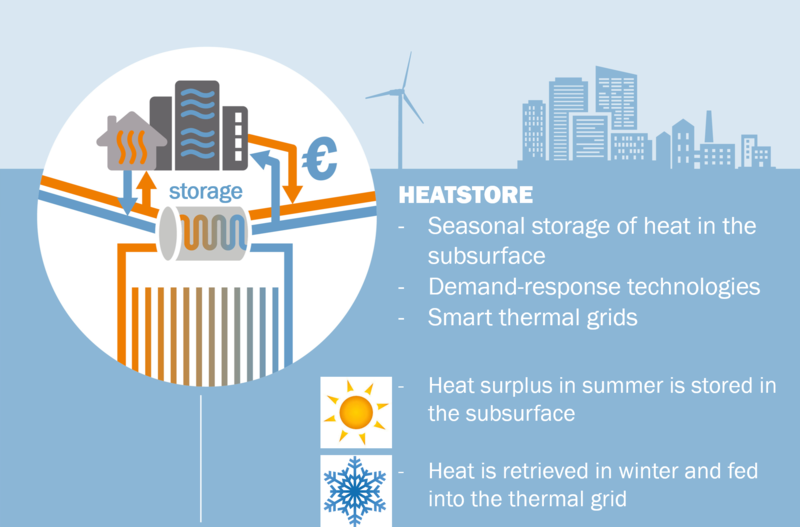 The main objectives of the HeatStore project are to lower the cost, reduce risks, improve the performance of high temperature (~25°C to ~90°C) underground thermal energy storage (HT-UTES) technologies, and to optimise heat network demand side management (DSM). This is primarily achieved by 6 new demonstration pilots and 8 case studies of existing systems with distinct configurations of heat sources, heat storage and heat utilisation. This will advance the commercial viability of HT-UTES technologies and, through an optimised balance between supply, transport, storage and demand, enable geothermal energy production to reach its maximum deployment potential in the European energy transition. HeatStore is one of nine projects under the GEOTHERMICA – ERA NET Cofund and has the objective of accelerating the uptake of geothermal energy by 1) advancing and integrating different types of underground thermal energy storage (UTES) in the energy system, 2) providing a means to maximise geothermal heat production and optimise the business case of geothermal heat production doublets, 3) addressing technical, economic, environmental, regulatory and policy aspects that are necessary to support efficient and cost-effective deployment of UTES technologies in Europe. The three-year project will stimulate a fast-track market uptake in Europe, promoting development from demonstration phase to commercial deployment within 2 to 5 years, and provide an outlook for utilisation potential towards 2030 and 2050. The 24 contributing partners from 9 countries in HeatStore have complementary expertise and roles. The consortium is composed of a mix of scientific research institutes and private companies. The industrial participation is considered a very strong and relevant advantage which is instrumental for success. 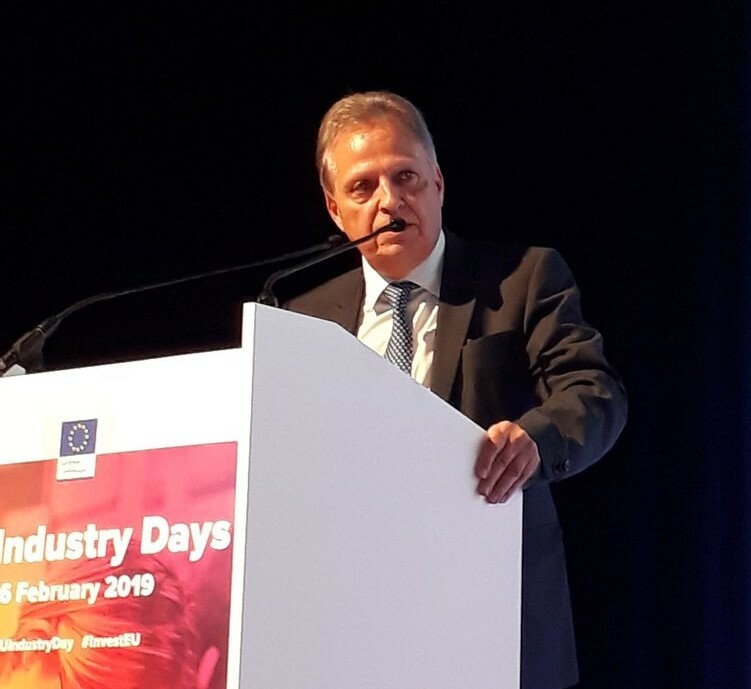 The combination of leading European research institutes together with small, medium and large industrial enterprises, will ensure that the tested technologies can be brought to market and valorised by the relevant stakeholders. The rapid increase in electricity generation plants using non-programmable renewable sources (NPRSs) in Italy in recent years has had an increasingly tangible impact on processes for management of electricity flows (dispatching) and the safe operation of the national electricity system in general. In order to optimise generation from renewable sources and at the same time ensure increased security management margins in the electricity system, Terna has identified energy storage as one of the possible solutions to the problem. This is why Terna has planned the installation of technologies in strategic locations across Italy and connected to the National Electricity Transmission Grid (NTG). This innovative use of storage systems has led Terna to launch an experimental programme aimed at implementing pilot projects designed to test and validate the use of electro-chemical storage at the “utility-scale” level. 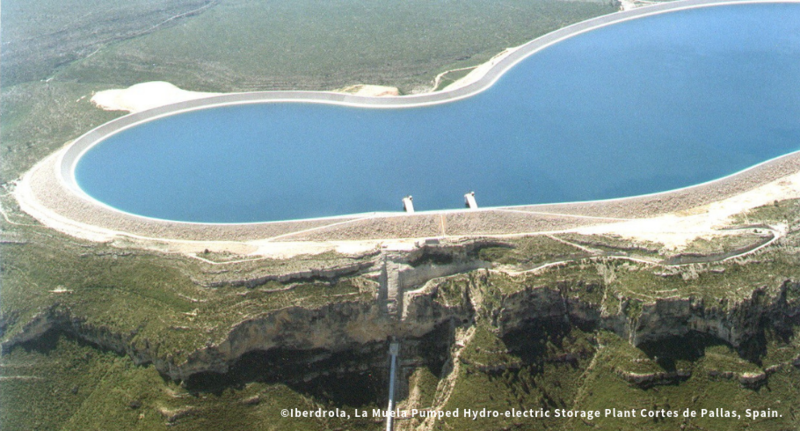 The first project, launched by Terna in 2011, is focused on large-scale storage plants, connected to sections of the high-voltage (HV) grid in southern Italy, which are critical due to the high levels of penetration from NPRSs. With the primary focus on reducing congestion volumes, Terna conducted a public tender process leading to the selection of the NAS battery technology (sodium/sulphur) as the most suitable for the purpose. The total storage programme of 35 MW is composed of three plants, each connected to the NTG via a 20/150 kV Electrical Substation. The project operation enables the optimisation of the primary objectives (mitigating congestion from NPRSs) and the effective experimentation with highly innovative grid delivery services (e.g. experimental calibration of the primary regulation and secondary regulation of frequency, development of new and advanced dispatching services, etc.). More experimental in nature and structured like a true energy storage laboratory, the second project (Storage Lab) was launched in 2012, and consists of 16 MW of multi-technology storage systems, aimed at increasing the safety margins of the HV networks on Italy’s two largest islands (Sicily and Sardinia). With 13.4 MW total capacity already installed (21.2 MWh storage capacity), the Storage Lab project is the only one of its kind in the world in terms of the variety of available technologies and the innovative nature of the control systems. The individual storage units are lithium (9.2 MW, 5 types), Sodium Nickel-Chloride (3.4 MW, 2 types) and vanadium redox flow (0.85 MW, 2 types) based. To complement the existing technological portfolio, Terna also plans to install super-capacitor systems in the near future. With the Storage Lab project, Terna is able to experiment with the main storage technologies currently available on the market and test their performance in terms of supporting essential conventional services such as primary frequency regulation, secondary frequency regulation and Defence System easement. The outcome of the experiments conducted by Terna will help us to place an emphasis on technological development in the sector and accelerate the integration of such resources in the dispatching service markets as well as in the national electricity system in general. ENGIE for a safe energy transition for the final user: Security as a quality business vector. Support for Root Cause Analysis: evaluation of batteries failure modes. Island grids and off-grid microgrids require stable sources of power and are the most sensitive to power fluctuations from intermittent solar and wind energy generation. Fraunhofer Institute for Solar Energy Systems ISE has established a flexible hybrid energy storage system using intelligent energy management for reliable and resilient supply of power and energy from renewables. 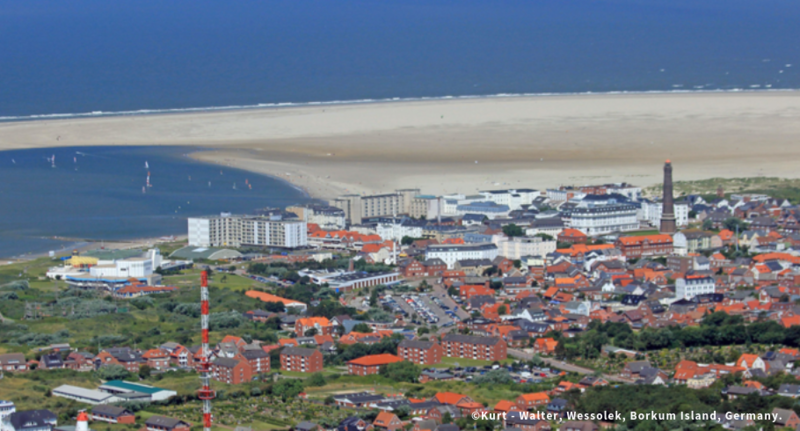 Located on Borkum Island in the North Sea, the storage system consists of 1MW/10kWh of Maxwell ultracapacitors and 500kW/500kWh of Li-ion battery. The ultracapacitors smooth out power peaks and increase the battery lifetime by removing peak power demand and cycling demands from the battery. Located in California, this 33MW / 20MWh battery system complements the integration of renewable resources and will increase grid flexibility and reliability by providing solar ramping, frequency regulation, power balancing and black start capability for an adjacent gas turbine. The black start capability was activated on May 10, 2017, when the newly installed energy storage battery system successfully supplied the electricity needed to start a 44-megawatt combined-cycle natural gas turbine without relying on the external transmission network. To stabilize the power plant, the energy storage battery system was then converted, by design, to become an energy load consumer. Although it is implemented in the US, it has similar use-cases in Europe in optimising the operational profile and the related emissions of fossil fired power plants. Frequency regulation and primary control reserve are already services marketed in Europe and could benefit from the presented hybrid approach. 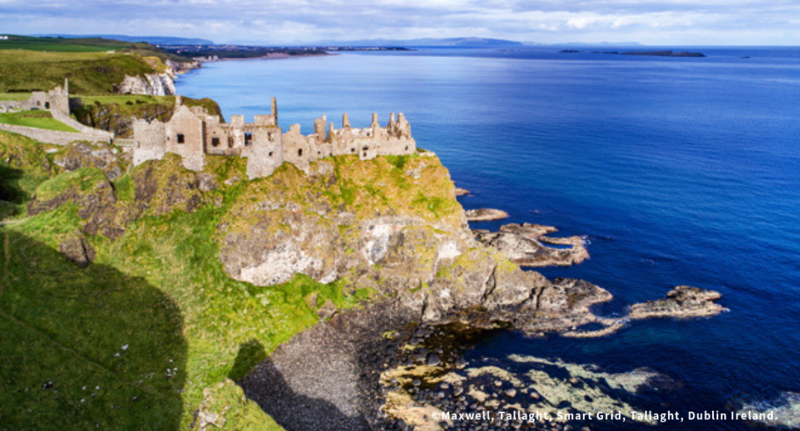 Ireland intends to achieve 40 percent renewable energy by 2020. Most of this electricity comes from large-scale wind farms with only limited connection to the UK. FREQCON deployed Ireland’s first combined ultracapacitor & energy storage facility for the Tallaght Smart Grid Testbed in South Dublin County. 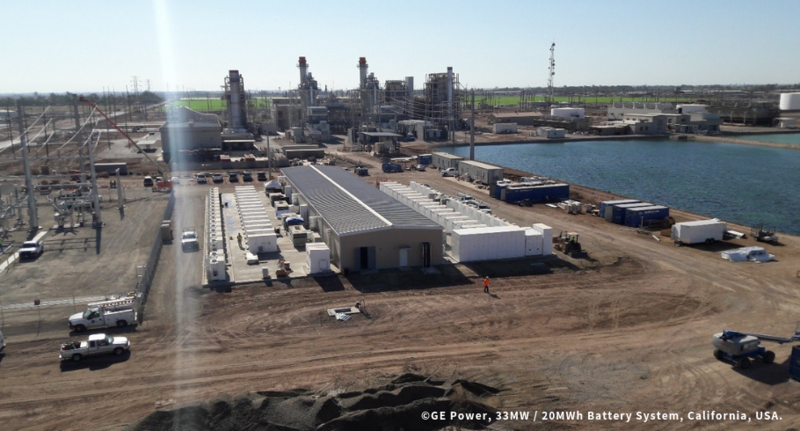 The 300 kW / 150 kWh system was developed to demonstrate that a combination of lithium-ion batteries, Maxwell Technologies ultracapacitors, and FREQCON power converters can provide fast frequency response to enable high renewables penetration. As the share of renewable energies in the electricity mix increases, so does volatility. Therefore, it is becoming increasingly important to be able to store energy on a large scale. Battery storage technologies are a sensible option. They can help to integrate renewables into the energy system by offsetting their fluctuating, difficult-to-predict generation capacity in the short term. 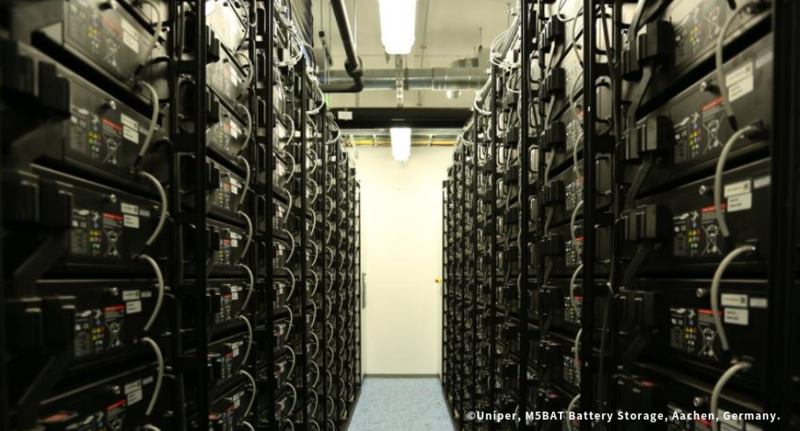 The modular battery storage M5BAT in Aachen, Germany, is ideally suited to test the technical and economic suitability of large-scale battery storage systems. The project started in July 2013 and will run until December 2018. As part of this joint project, Uniper and its partners have installed a stationary battery system in a specially converted building. The battery system has a storage capacity of 5 MWh and bundles various battery storage technologies. We are currently testing the application possibilities and economic viability of the different battery technologies. The knowledge gained from this project will help us design future strategies for the use of battery storage, deploying the battery technology best suited to meet the local requirements. M5BAT is located next to a transformer and RWTH Aachen University research centres. The battery storage system will be used in various markets for research purposes, for example to provide primary control power. This energy storage system project provides important insights for the entire energy industry and contributes to making battery technologies usable for the energy transition. This is underlined by the partial funding of the project by the German Federal Ministry of Economics and Energy (BMWi). Horizon2020 project STORE&GO helps explore innovative storage technologies. For a successful energy transition, we will need large scale energy storage in order to ensure the security of supply. Uniper therefore operates the pilot plant WindGas Falkenhagen, Germany, where we have been demonstrating how renewable electricity can be used for the production of hydrogen by electrolysis, since August 2013. This “green hydrogen” is then fed into the natural gas network effectively storing the excess power produced from renewable electricity generation. 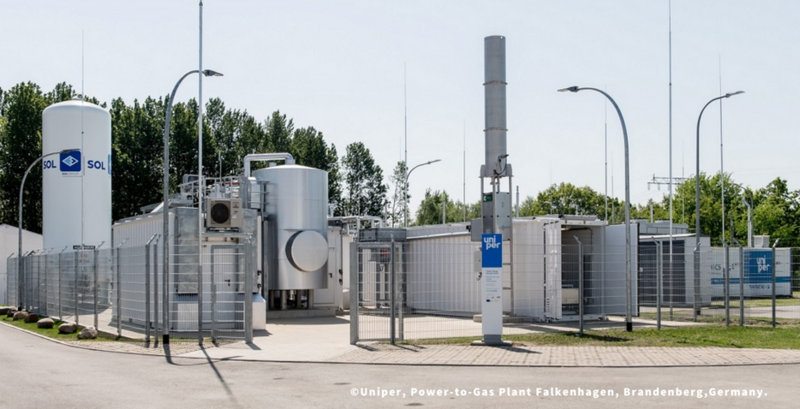 The Falkenhagen power-to-gas plant has an output of 2 MW and generates 360 cubic meters of hydrogen per hour. Falkenhagen in Brandenburg is an ideal location due to its high wind generating capacity and the well-developed power and gas infrastructure already in place. In May 2018 the power-to-gas site was expanded by a methanation plant to offer even more possibilities of storage for renewable energies. The new methanation plant provides for the generation of “green” methane. In this second stage, hydrogen from regenerative energy sources is converted into methane (CH4), i.e. synthetic natural gas (SNG), using CO2 from a bio-ethanol plant. This constitutes an important contribution to the success of the energy transition, because green methane in contrast to green hydrogen can be used in a wider variety of ways. It can be made available to a variety of markets, such as the manufacturing sector, the electricity and heating market as well as the mobility sector. Moreover, it provides for unrestricted use of the natural gas infrastructure, including for transport and storage. This stored energy is then available as backup whenever there is an insufficient supply of solar and wind power. The new methanation plant was built right next to the PtG pilot plant and consists of several components. A prototype honeycomb catalytic reactor for methanation is installed and is being tested during the project. The methanation plant produces up to 57 m³/h of SNG (at normal pressure and temperature), which equates to an output of 600 kWh/h. By comparison: The same amount of energy could heat a 50-m² apartment for a month. Moreover, the heat generated by the process is used by a nearby veneer plant. WindGas Falkenhagen is part of the Horizon 2020 project STORE&GO, which aims to bring the technology to a level to be integrated in the daily operation of European energy grids. Uniper Energy Storage GmbH builds and operates the new plant together with thyssenkrupp Industrial Solutions AG, the research centre of the DVGW (German Association for Gas and Water) and the Karlsruhe Institute of Technology (KIT). thyssenkrupp and KIT designed the reactors for methanation and KIT is also providing scientific assistance to the project. RealValue: Realising Value from Electricity Markets with Local Smart Electric Thermal Storage Technology. Q. What did the RealValue project involve and what was Glen Dimplex’s role? A. Glen Dimplex was the coordinator of RealValue, a three-year research and innovation project which received €12.5M through Horizon 2020, involving 13 partners across five member states, representing the entire electricity value chain. Our ‘Quantum’ Smart Electric Thermal Storage space and water heating appliances, known as ‘SETS’, were installed in 750 properties across Ireland, Germany and Latvia and connected to each country’s power grid. The project has delivered a huge leap forward in learning around how small-scale energy storage systems, when aggregated together, can help bring maximum value from clean energy in a more environmentally conscious world. Q. What were the outcomes of RealValue and the added value for energy storage? A. RealValue has demonstrated the role that Quantum SETS can play as thermal storage devices for energy balancing, grid security and supply, decarbonisation and integration of RES, network congestion and demand-side management, whilst simultaneously offering enhanced end-user experience in terms of increased comfort and control, and greater energy-efficiency. As well as proving the effectiveness of the technical solution, within the project building and energy system modelling was carried out to assess the relative suitability of European countries for SETS into the future. Regulatory analysis assessed the market readiness for the RealValue solution and identified the most interesting business cases. We were also highly involved in BRIDGE, the European Commission Initiative for knowledge sharing between Horizon 2020 Smart Grid and Energy Storage projects. This provided unrivalled opportunity to share experiences from RealValue, and learn from other like-minded organisations, which is a crucial aspect of any R&D process. Q. Where next for Glen Dimplex? A. We believe that the home of the future will be all-electric and fully connected; Glen Dimplex’s future direction will be defined by this vision. Everyone will be able to become an active player in the energy world, but in a simple way. It will all add up to more energy efficiency, more control, more comfort – and the potential for new revenue streams and lower bills. Japan’s New Energy and Industrial Technology Development Organization (NEDO); the Ministry for Economics, Labour and Transport of Niedersachsen of the Federal Republic of Germany; EWE-Verband, an association managing the electric power supply to 17 districts and four cities in Niedersachsen; and EEW Holding have agreed to jointly implement a demonstration project of a large-scale hybrid battery system. On 19 March 2017, Mr. Furukawa, Chairman of NEDO, Mr. Lies, Minister for Economics, Labor and Transport of Niedersachsen, Mr. Schönecke, Association Director of EWE-Verband, Mr. Bramlage, Deputy Association Director of EWE-Verband, and Mr. Röhler, Managing Director of EEW Holding signed a memorandum of understanding. At the same time, Hitachi Chemical Co., Ltd.; Hitachi Power Solutions Co., Ltd.; and NGK Insulators, Ltd., Japanese companies commissioned by NEDO to implement the project, and EWE AG, an energy provider in Germany, have agreed to collaborate in the project and concluded an implementation document. The demonstration project is carried out over a three-year period from April 2017 to March 2020 and was launched in Varel, Niedersachsen, which has been actively introducing renewable energy, particularly large-scale wind power, in recent years. The project aims to build a large-scale hybrid battery system using lithium-ion batteries and NAS® batteries that can stabilise the distribution grid, and thereby controlling the electric power supply and demand balance, by charging and discharging storage batteries. Another aim is to establish an innovative business model for electricity trading using the system, in collaboration with Germany’s enera project. 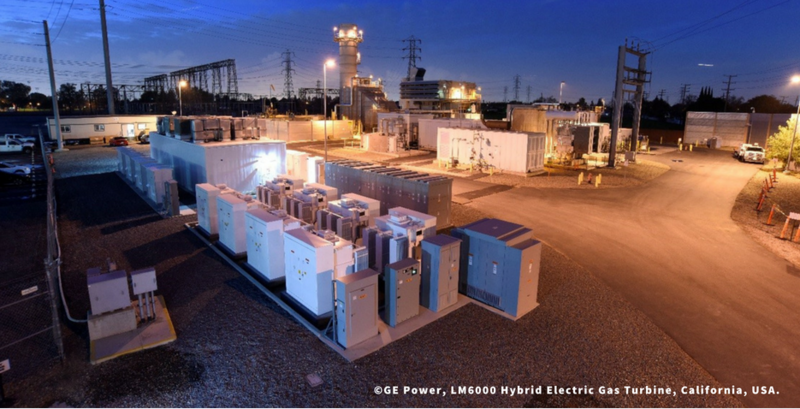 The large-scale hybrid battery system was built using lithium-ion batteries from Hitachi Chemical, NAS® batteries from NGK Insulators, and a power grid information and battery control system from Hitachi Power Solutions. It was designed by taking advantage of the features of lithium-ion batteries with a high power charge/discharge output and of durable, large capacity NAS batteries, combined with a power grid information and battery control system that communicates information in and outside of balancing groups in cooperation with EWE AG’s electricity trading system. Through this system, the four functions of primary control reserve supply, secondary control reserve supply, balancing within a balancing group, and reactive power supply that stabilise local power voltage will be realised to replace the functions of conventional power plants. Electricity trading will be executed in line with the EWE Group’s electricity trading system. The demonstration project also aims to establish business models so as to make the system attractive to power generation and electricity trading companies in and outside of Germany, thereby expanding the hybrid battery system in the future. Solar and wind power make a significant contribution to Portugal’s electricity generation capacity and, because these technologies are weather dependent, the grid is vulnerable to fluctuations in supply. This makes it the perfect place to build a pumped storage plant powered by a state-of-the art technology that helps ensure grid stability. Technology Group Voith supplied the plant with two variable speed pump turbines each with a rated output of 390 MW each, two asynchronous motor-generators with a rated output of 440 MVA each, the frequency converter and control systems as well as the hydraulic steel components. The generator sets are the largest and most powerful of their kind in Europe. The plant operator is the Portuguese utility company Energias de Portugal (EDP). Ultimately, DFIM technology delivers optimal operation in both turbine and pump modes, while fulfilling TSO (role assumed in Portugal by REN) requirements for grid fault behaviour by injecting fast active and reactive power when it is needed in both modes. Another key aspect of this technology (and perhaps the most relevant in terms of value creation) is the ability to provide power variation in pump mode, which can deliver the grid’s needed teleregulation during off-peak hours, making Frades II the only plant in Iberia to do so without having to generate surplus power. Since the Frades II plant entered commercial operation, it bears Europe’s largest variable-speed units. And because grid stability and ensuring energy supply reliability are becoming more important everywhere, Frades II has provided a template that will be replicated around the world. On 2 July 2018 the European Energy Storage Association (EASE) and Delta-ee (Delta Energy and Environment) have published EMMES 2.0 – the definitive guide for the European Energy Storage market published every 6 months. Read now the full press release! 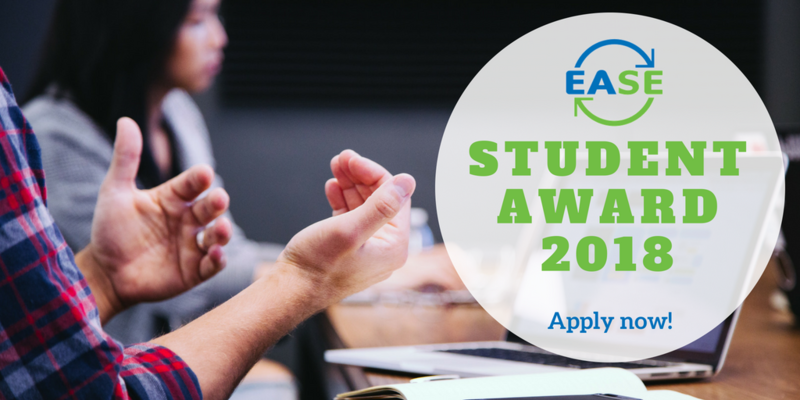 The European Association for Storage of Energy (EASE) is proud to announce the launch of its third annual Student Award, recognising outstanding graduate student research in the field of energy storage. 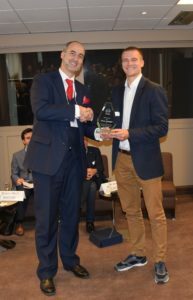 The winning student will be a guest at the EASE-organised Energy Storage Global Conference, which will take place in Brussels on 24-26 October 2018. He or she will be recognised during the opening day of the conference and will be invited to attend all conference events free of charge. The selection of the winning student will be done by the EASE Secretariat and a selected committee of members. The selection procedure is based on the abstracts provided by students in the application form. Students will be judged on the quality of the responses, the research design, and on the relevance of the research topic to the Energy Storage industry. The winner will be informed by mid-September 2018. Applicants must either currently be enrolled as a student or have completed an MSc or PhD programme at an accredited EU university between July 2017 and June 2018. The thesis which is the basis for the application must focus on an energy storage-related topic. Eligible papers are BSc or MSc theses submitted during the above mentioned period. EASE will be able to evaluate abstracts written in English, but the thesis papers could also be in German or French. For papers written in other languages, applicants are asked to contact the EASE Secretariat prior to submitting their application to verify whether the Secretariat has the requisite language skills. Applicants must be available to attend Energy Storage Global Conference on 24-26 October 2018. Applicants from outside the EU should already be in possession of a valid visa allowing them to travel to Belgium in October 2018. EASE will only cover basic travel and accommodation costs for the event from locations within the EU or candidate countries. By submitting their application, candidates agree to allow their personal data, including the completed thesis, to be shared with EASE members. Please complete the application form in full (personal information, abstract), attach your (draft) thesis, and return both documents to info@ease-storage.eu no later than Tuesday, 24.07.2018. Candidates who do not comply with the eligibility criteria will be disqualified. If you have any questions, please contact: Ms Brittney Elzarei, EASE Senior Policy Officer, at +32 2 7432982. We would like to extend a warm welcome to EASE newest member BSEF- The International Bromine Council! The International Bromine Council is the voice of the bromine industry. BSEF fosters technologies & innovation for the changing needs of society globally. Welcome on board NGK Europe! On 12 December 2017, the European Association for Storage of Energy (EASE) and Delta-ee released the first edition of the European Market Monitor on Energy Storage (EMMES). On 22 November 2017, the European Association for Storage of Energy (EASE) General Assembly, representing 38 companies across the energy storage value chain, elected Ms Eva Chamizo Llatas, Director of European Affairs and Head of the Iberdrola Brussels Office, to serve as the new EASE President. Ms Chamizo Llatas is an expert in European Union Law and served as Head of the Legal Service of the Spanish Permanent Representation to the European Union from 2001 until 2015. On 8 November 2017 the European Association for Storage of Energy (EASE) organised in Brussels its first Energy Storage Investor Workshop. More than 50 delegates from all across Europe and worldwide attended the workshop, where 13 speakers from financial institutions, industry and representatives of the European Commission, the European Investment Bank and the European Parliament presented. On 18 October 2017, the European Association for Storage of Energy (EASE) and the European Energy Research Alliance (EERA) presented the updated EASE-EERA Energy Storage Technology Development Roadmap to the European Commission at a launch event attended by key stakeholders from across the energy sector. Patrick Clerens, EASE Secretary General, and Mathias Noe, Coordinator at the EERA Joint Programme Energy Storage, officially presented the document to Mr Jose Cotta, Head of Unit for Advanced Energy production at the Directorate General for Research and Innovation of the European Commission, and Mr Dimitrios Sofianopoulos from the New Energy Technologies, Innovation and Clean Coal Unit at the Directorate for Energy. EASE is happy to announce the winner of the second edition of the EASE Student Award contest: Oliver Schmidt! The EASE Student Award recognizes outstanding graduate student research in the field of energy storage. It is awarded every year to one student who has completed a thesis on energy storage at an accredited EU university. Oliver presented his work on the 18th October 2017 during the EASE-EERA Energy Storage Roadmap Launch Event and had the opportunity to meet with members from the various EASE bodies. In his paper “The future cost of electrical energy storage based on experience rates” Oliver and his co-authors derive a new dataset of experience curves that enables researchers, policymakers and industry to make future cost projections by including their own assumptions and engage in evidence-based discussions on how the energy storage industry as a whole might evolve. This research is a first-of-its-kind compilation of data on price and cumulative installation development for the most promising electricity storage technologies. Oliver is a PhD Researcher in Energy Storage at the Imperial College London and holds an MSc degrees in Sustainable Energy Futures. During his studies, he developed a strong interest in energy storage focusing on the future costs of energy storage and its value in low-carbon energy systems. “EASE is always willing to promote additional research and development done by young graduates in the field of energy storage” said Patrick Clerens, EASE Secretary General. EASE believes that there is no transformation of the energy industry without energy storage. Renewing the congratulations to Oliver from all EASE members, EASE would also like to thank all students who applied to the contest. The “The future cost of electrical energy storage based on experience rates” paper is published in Nature Energy and it is available for download here. ETIP SNET presented its Implementation Plan (IP) 2017-2020 on 5th October 2017 during European Utility Week 2017 in Amsterdam. The IP is the result of a long and wide-ranging consultation process. Over the last year, more than 200 ETIP SNET members, through various working groups, took part in the IP’s elaboration. In a second review phase, the paper also gathered nearly 70 responses from all stakeholders of the energy system via an online public consultation. This makes it a widely recognised report by all the actors of the energy transition. High-Renewable Energy Sources (RES) And Empowered End-User Energy System: Governance and Market Design. Improved components of the Energy System. EASE has published its Position Paper on Thermal Energy Storage (TES), which highlights the role of TES in supporting the energy transition. The paper outlines the applications and key features of TES systems and explains how the heating and cooling sector is important for the transition to a low-carbon energy system. Smart heat concepts, including thermal storage concepts, have the potential to provide the needed flexibility options – storage, demand response, and smart operation – on the short term and at a relatively low cost. These proposals would support the EU’s goals to empower consumers, improve energy efficiency, and decarbonise the energy sector, including the often underexposed heating and cooling sector, in a cost-effective way. 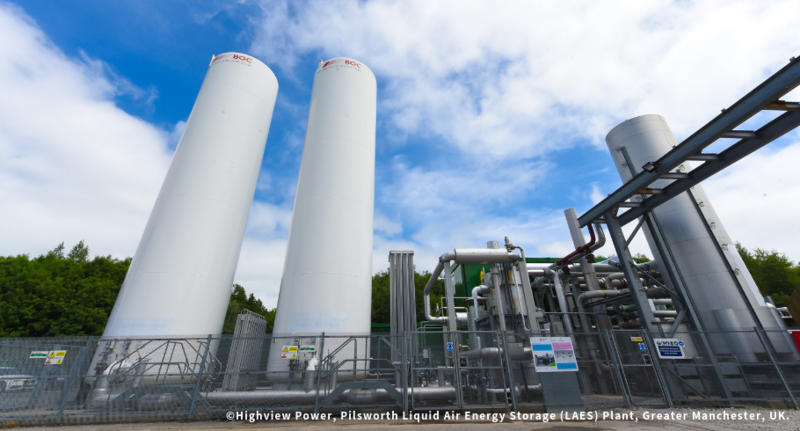 EASE member Highview Power Storage has been awarded funding of £1.5 million for a new hybrid configuration of its existing Liquid Air Energy Storage (LAES) system from Innovate UK, the UK’s innovation agency. The European Association for Storage of Energy is proud to announce the launch of its second annual Student Award, recognising outstanding graduate student research in the field of energy storage. The winning student will be recognised publicly on the EASE website and social media and will be a guest at the EASE-organised Annual Event, which will take place in Brussels on Wednesday, 22.11.2017. EASE will cover transportation to and from Brussels as well as accommodation for the winning student. Additionally, the winner will have the opportunity to present his/her thesis at the EASE General Assembly taking place on 23.11.2017. Both are valuable opportunities to network with industry leaders in the energy storage sector and to learn about the latest policy and research developments in the field. For more information on the selection procedure, the eligibility criteria and to apply, please click here. EASE published an article in the summer edition of the European Energy Innovation magazine. The European Association for Storage of Energy – EASE is planning to award a contract for the elaboration of a Cost-Benefit Analysis method to evaluate the impact of 15 vs 30 minutes activation period for energy storage providing Frequency. Containment Reserve (FCR). By using electricity generated from renewable energy sources (RES) to produce Green Hydrogen and other energy carriers, PtG and PtL belong to the few energy storage technologies available to store large amounts of energy seasonally and provide it on-demand to different sectors and applications. They have the potential to contribute significantly to the integration of renewable electricity into various sectors of the energy system, hence to support the objectives of the “Clean Energy for All Europeans” Package and the long-term vision of the Energy Union. However, some key regulatory barriers are still blocking developments in the PtG and PtL sectors. To overcome these hurdles, EASE recommends some measures. We would like to extend a warm welcome to EASE newest members: Voith Hydro and CEA! EASE has published its position paper “Energy Storage Deployment Hampered by Grid Charges” calling for a coordinated approach to defining grid tariffs for storage that recognises its alleviative effects on grid constraints and grid extension costs, while contributing to reduced curtailment of CO2 free electricity generation. The European Association for Storage of Energy – EASE is planning to award the contract for the Cost Benefit Analysis Modelling within the project “TSO 2020: Electric “Transmission and Storage Options” along TEN-E and TEN T corridor for 2020 – Framework of the Connecting Europe Facility 2017-2020 – Synergy Call for proposal 2016-1 . 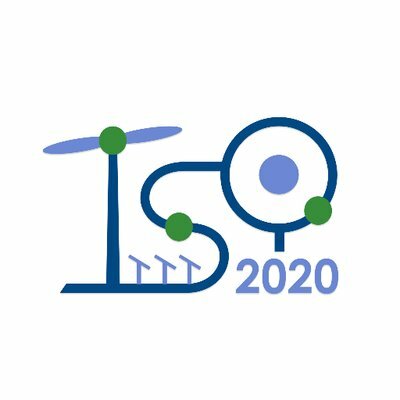 EASE is pleased to announce that the project “TSO 2020: Electric “Transmission and Storage Options” along TEN E and TEN T corridors for 2020” has been selected for funding through the Connecting Europe Facility (CEF) funding instrument. Under the coordination of the Dutch Ministry of Infrastructure and Environment, EASE – in partnership with TenneT TSO, Nederlandse Gasunie, Green Planet Real Estate, TU Delft, and Stichting Energy Valley – will assess and value the key role of energy storage in the electricity transmission system by exploiting synergies between energy storage solutions and alternative transport infrastructure needs. What’s in store for the future of energy? EASE is glad to have contributed to the May 2017 highlight on the energy transition of the Brussels Airlines magazine b.inspired! Our member Fundación CIRCE is looking for researchers to join its team of experts. Up to 12 positions in several fields of the renewable energy and energy efficiency sectors. EASE welcomes the Commission Staff Working Document on Energy Storage, which complements the “Clean Energy for All Europeans” Package issued in end-November 2016 and provides a valuable contribution to the policy debate. The European Commission recognises the value of energy storage as a source of system flexibility, and the subsequent need for a wide range of energy storage technologies capable of providing multiple services to the energy system.The document also outlines four principles on the way forward for energy storage. “For Europe to integrate over 50% of variable renewable energy such as wind or solar efficiently and reliably into its power system in the future, the electricity networks will need to be able to utilise all kinds of flexibility. 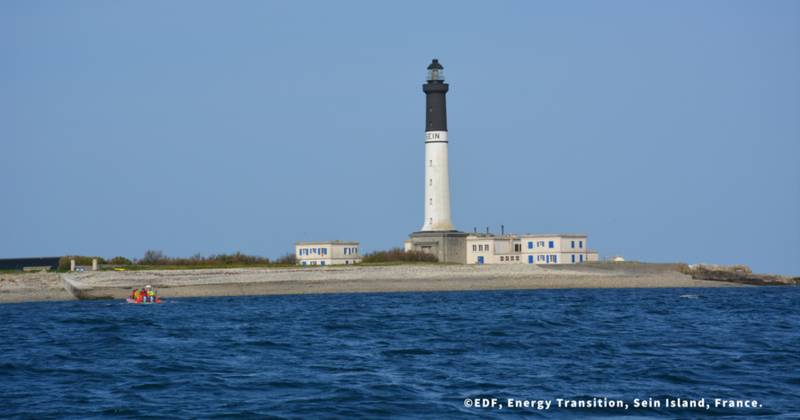 They will be the heart of the overall climate-friendly energy system through smart interactions with gas networks and heating and transport systems,” says Konstantin Staschus, Chairman of the ETIP SNET. The R&I activities for the decade to come, as described in the Roadmap, synthesize consolidated and balanced stakeholder views and rely on systematic monitoring and reviews of national, European and international projects. The full implementation of all R&I activities is estimated at 2.5 billion euros needed to finance innovation over the next decade both for transmission and distribution systems, and to be co-financed from the public and private sector. The RD&I priorities defined in the Roadmap are organised in clusters and functional objectives. The clusters give an indication of the prioritised topics: modernisation of the network; integration of smart customers and buildings; security and system stability; power system flexibility from generation, storage, demand and network; integration of decentralized resources of these kinds; economic efficiency and digitalization of the power system; network operations; and planning and asset management. The ETIP Working Groups are to ensure the involvement and contribution of all the stakeholders of the energy system as a whole, providing vision, inputs, guidance and continuous feedback for the development of the integrated R&I Roadmap. The WGs gather experts representing the widest community of stakeholders related to their area of expertise. Experts acting in the Working Groups aim at providing strategic guidance about RD&I priorities and activities, ensuring the interaction and involvement of the entire expertise needs raised by the integration issues of the electricity system into the wider European energy system. Experts contribute to the WG on a voluntary basis and no reimbursement of expenses is foreseen. More information on the working groups and their Terms of Reference are available here. If you are an expert in this field and you are willing to contribute in setting this vision, please send you candidature through this link. The new European Technology and Innovation Platform Smart Networks for Energy Transition (ETIP SNET), created in the framework of the EU’s new Integrated Roadmap of the Strategic Energy Technology Plan (the SET Plan), has the aim to guide research, development and innovation to support Europe’s energy transition with innovation for the transmission and distribution systems. These systems form the technical and market platforms where clean electricity generation, empowered customers, storage technologies, smarter grids and interfaces to gas, heat and transport networks make the energy transition happen in secure and affordable ways. Additionally, EASE also welcomes the nomination of Dr Emmanouil Kakaras, MHPSE on behalf of EPPSA and EASE (Equipment suppliers, Storage and Sector Interface) as Chair of WG5: Innovation implementation in the business environment. We have come to the end of the year, making this the time to reflect on what we have achieved and also to thank our members, team and colleagues who have contributed to spreading EASE messages in support of energy storage throughout 2016. Welcoming the Clean Energy for All Europeans package, published by the European Commission in end-November, with three main goals: putting energy efficiency first, achieving global leadership in renewable energies, and providing a fair deal for consumers. The recast of the Electricity Directive (to read EASE’s press release, please click here), a key element of the package, establishes a legal definition for energy storage. The package also includes a Communication on Accelerating Clean Energy Innovation (to read EASE’s press release, please click here), which lays out a framework for action to increase public and private investments in low-carbon technologies and pushes for the development of clean energy business models. The Communication recognises the importance of energy storage by designating it as a priority area for clean energy research and innovation, alongside electro-mobility, decarbonisation of the building stock, and the integration of renewables. Energy Storage Global Conference 2016: on 27-29.09.2016, EASE organised in Brussels the second Energy Storage Global Conference in Brussels. More than 220 delegates attended the Conference, which saw 49 speakers from the industry, research centres and international bodies from the electricity, renewables and storage sectors, as well as representatives from the European Commission, the European Parliament and national administrations. End of the Grid+Storage project: EASE was part of a consortium supporting the European Commission in defining an integrated R&D strategy in smart grids and energy storage. The roadmap was approved by the ETIP SNET on 9 December 2016. 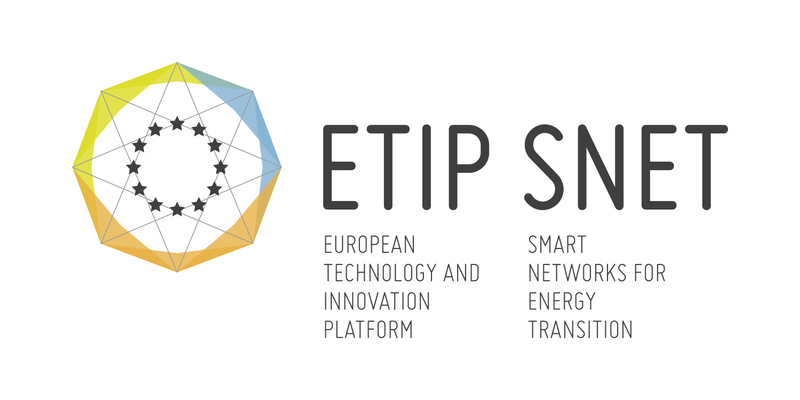 European Technology and Innovation Platform for Smart Networks for the Energy Transition (ETIP SNET): EASE was nominated Vice-Chair of the ETIP SNET Governing Board and will play an active role in the Working Group on energy storage. EASE is also a member of the INTESYS4EU consortium, which will manage the ETIP SNET activities. 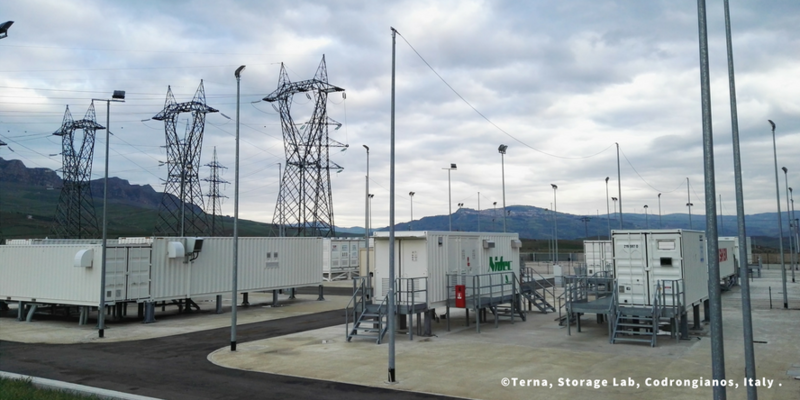 EASE Members and team had the chance to visit Terna’s Storage Lab in Sardinia, a unique project that is designed to analyse the performance of selected battery technologies when used to provide essential grid services such as frequency regulation, secondary regulation, and voltage regulation. In addition to testing various services, the Lab is tasked with putting the most popular energy storage technology providers (e.g., Samsung, LG, BYD, SAFT, Toshiba, GE and FIAMM) through their paces in order to prove their performance when working in real case scenarios. Lastly, for the latest news and updates on EASE and energy storage, you can also follow us on Twitter (@EASE_ES). Thank you again to all those who contributed to our activities this year. We are excited to see what 2017 will bring for EASE and for the larger energy storage community! EASE is very pleased that the European Commission has published its Communication on Accelerating Clean Energy Innovation which lays out a framework for action to increase public and private investments in low-carbon technologies and pushes for the development of clean energy business models. The Communication recognises the importance of energy storage by designating it as a priority area for clean energy research and innovation, alongside electro-mobility, decarbonisation of the building stock, and the integration of renewables. EASE compliments the European Commission on the Electricity New Market Design Package that was just released. The proposed regulation is quite comprehensive and a very good start. EASE welcomes the definition of energy storage included in the revised Electricity Directive, supporting investment certainty. It foresees technology and application evolution and does not limit energy storage to electricity-in/electricity-out; rather, it encompasses ‘power-to-x’ and thermal heat energy storage systems. From the 27th to the 29th of September 2016, the European Association for Storage of Energy (EASE) organised in Brussels the second Energy Storage Global Conference. More than 220 delegates attended the Conference, which saw 49 speakers from the industry, research centres and international bodies from the electricity, renewables and storage sectors, as well as representatives from the European Commission, the European Parliament and national administrations. EASE is glad to announce its five recommendations concerning the Ownership of Energy Storage. The European Union should provide a clear legislative framework on ownership for the Energy Storage industry in order to support investment in the sector. Therefore, EASE is calling upon the EU institutions to take these recommendations into account in the upcoming revision of the Renewable Energy Directive, the Energy Efficiency Directive, and especially the New Energy Market Design legislation (“Winter Package”). EASE welcomes the adoption of the ITRE Report “Towards a New Energy Market Design”, proposed by MEP Werner Langen (EPP, DE). It was approved today by the European Parliament in its plenary session in Strasbourg with 454 votes in favour and can be seen as a clear sign that energy storage should play a major role in this new framework. We would like to extend a warm welcome to EASE newest member: LGChem! EASE is pleased to announce its Student Award Winner! EASE is happy to announce the winner of the first edition of the EASE Student Award contest: Eduard Ignatev! He will now have the opportunity to attend the second edition of the Energy Storage Global Conference, which will take place in Brussels on 27-29.2016, as well as to collaborate with some of the EASE bodies. His thesis on Performance Degradation Modelling and Techno-Economic Analysis of Lithium-Ion Battery Energy Storage Systems was selected because of his innovative and highly topical research on the application of lithium-ion batteries to provide primary frequency regulation. Eduard holds MSc degrees in Electrical Engineering from the Lappeenranta University of Technology (Finland) and Moscow Power Engineering Institute. During his studies, he developed a strong interest in energy storage as part of the smart grids and sustainable infrastructure development. In the future he hopes to specialise in designing and engineering power systems while promoting trendsetting technology solutions such as energy storage. Renewing the congratulations to Eduard from all EASE members, EASE would also like to thank all students who applied to the contest. 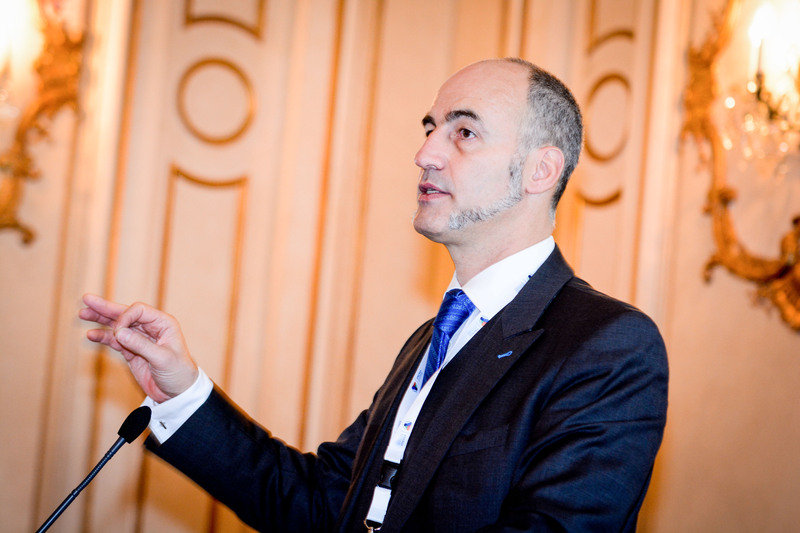 EASE is happy to announce that the European Technology and Innovation Platform for Smart Networks for the Energy Transition (ETIP SNET) nominated Mr Thierry Le Boucher, EASE Vice President, EDF, as one of its two Vice Chairmen. In the framework of the COP21, EASE would like to present a paper to highlight the importance of Energy Storage as a Decarbonisation Enabler as well as the challenges ahead of us. For more information, please check out the project website. Three years after the creation of the European Association for Storage of Energy, the presidency is renewed for the first time. From the 19th to the 21st of November, EASE, the European Association for Storage of Energy, organised the first Energy Storage Global Conference in the Cercle National des Armées in Paris, together with ESA and ATEE-CSE (respectively the American and French Energy Storage Association), DG Joint Research Centre and DG Energy of the European Commission and Sandia National Laboratories. More than 150 delegates attended this first conference, which saw 40 speakers from the European Commission, the National Administrations, Industry, Research Centres and other National & International bodies. The European Association for Storage of Energy (EASE) welcomes the creation of GESA, the Global Energy Storage Alliance. On April 1st,2014 GESA was jointly founded by the California Energy Storage Alliance (CESA), the German Energy Storage Association (BVES), the China Energy Storage Alliance (CNESA), the India Energy Storage Alliance (IESA), the US Energy Storage Association (ESA), and the Alliance for Rural Electrification (ARE). The main aim of this international body is to advance education, collaboration, knowledge and proven frameworks about the benefits of energy storage globally. EASE, as the voice of the energy storage community, actively promoting the use of energy storage in Europe and worldwide, supports the vision and aims of the Global Energy Storage Alliance and looks forward to a fruitful cooperation of both associations in the future. European Association for Storage of Energy (EASE) unveils www.ease-storage.eu as a tool to help develop and promote the use of energy storage in Europe and worldwide. A group of Europe’s leading players in the energy sector, including manufacturers, utilities and academic bodies, came together in Brussels on September 27 to sign the formal constitution for the creation of the European Association for Storage of Energy (EASE). This international non-profit association is focused on acting as a coherent voice to promote the roles of energy storage as key enabling technologies for Europe’s transition towards a sustainable, flexible and stable energy system. EASE presented its contribution to ENTSO-E’s Cost-Benefit Analysis (CBA) Methodology for Energy Storage projects in the context of the EUropean energy infrasturcture priorities and ENTSO-E’s Ten Year Development Plan (TYNDP) at today’s Stakeholders Workshop. The new European Regulation on guidelines for the implementation of European energy infrastructure priorities came into force on 15 May 2013. If required, provide information for cost allocation and incentive/grants for the PCIs. EASE delivered the requested input commenting on the validity and suitableness of the proposed indicators for energy storage projects, and developing a specific environmental indicator “social and environmental sensibility” for energy storage technologies. In this context, EASE favours a CBA method for energy storage as close as possible to the CBA method for interconnections. Overall, EASE welcomes this initiative and recognises the usefulness of elaborating a CBA method in order to assess the importance of storage for the electrical system, within the European energy infrastructure priorities and the TYNDP framework. Finally, EASE looks forward to closely collaborating with ENTSO-E in the 2016 TYNDP. Last Tuesday in Malta, on the occasion of EURELECTRIC’s Annual Convention & Conference, EASE’s Secretary General, Patrick Clerens, and EURELECTRIC’s Secretary General, Hans ten Berge, signed a Memorandum of Understanding concerning collaborative work between the two associations on topics of mutual interest. The Memorandum of Understanding (MoU) formalises the terms and conditions for the exchange of information between the two organisations, ensuring proper legal protection and balanced cooperation on a series of topics of common interest in the field of energy storage. It also foresees the possibility of cross-party participation in specific reviews or working groups and joint events. Both EASE and EURELECTRIC look forward to utilising this new framework to achieve an even more fruitful dialogue between the two organisations. Last Thursday in Washington DC, on the occasion of ESA’s 22nd Annual Meeting, EASE’s Secretary General, Patrick Clerens, and ESA’s Executive Director, Brad Roberts, signed a Memorandum of Understanding concerning collaborative work between the two associations on the relevant issues regarding energy storage and its development and integration. The Memorandum of Understanding (MoU) formalises the terms and conditions for the exchange of information between the two organisations, ensuring proper legal protection and balanced cooperation on a series of topics of common interest in the field of energy storage. It also foresees the possibility of cross-party participation in specific reviews or working groups and joint studies. Both EASE and ESA look forward to utilising this new framework to achieve an even more fruitful dialogue between the two organisations.